The time has come to go under the magnifying glass of a handful of microphones and their master. This weekend, my Trio Palladio will record all the music that Pēteris Vasks has composed for piano trio. All three of us know him quite well from countless performances of his works over the years, as we always like to use the opportunity to play for a living composer, whenever possible. And this means that we know quite well the kind of sound he likes and the kind of emotional and spiritual content he has in mind for most of his music. Still, it is never easy to play, is not meant to feel easy. It asks for our utmost, all the time. And therein lies its deeply humane beauty. I am delighted to be nominated for the Grand Music Award of Latvia yet again! This time, it is for “Outstanding interpretation” in two particular recitals – the Beethoven sonatas’ recital and the Independence day recital “Thoughts of Light”. Also, my Trio Palladio is nominated for the same Award in the category “Outstanding achievements throughout the year”. It is a great honour and joy to be nominated, and congratulations to all the other nominees! This is a snapshot I took of the sunset 30 minutes before the beginning of my Beethoven recital. It was possible only because the Dzintari Small hall is located almost literally on the beach. I felt such childlike joy as I left the hall while the audience was streaming to it, to witness this moment just before stepping onto the stage. It liberated me somehow. And below is a snapshot from my Independence day recital in VEF Palace, Riga. I worked closely with the lighting technician the night before, and he created some marvellous lightscapes to go with the music and the spoken word. This concert remains very close to my heart — a lasting gift, to have the privilege to play Latvian music and speak Latvian poetry on the 100th birthday of my country. Today, my new album is officially released. 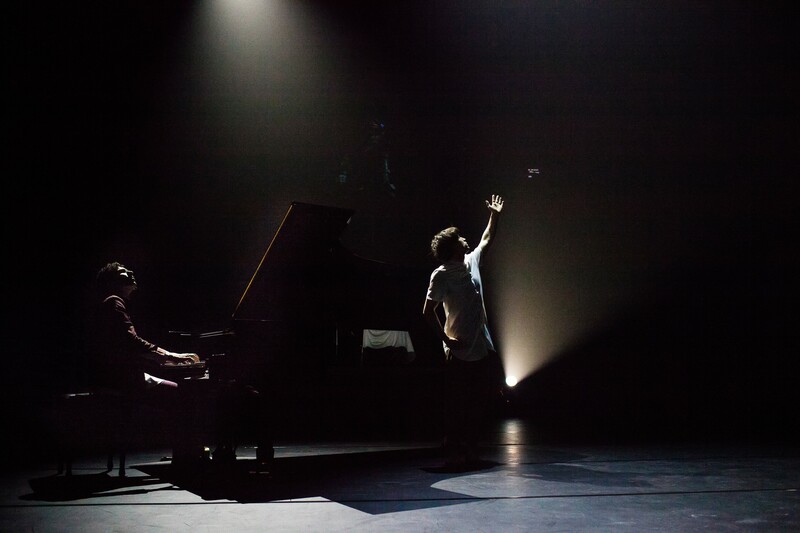 In it, two piano cycles stand facing each other. I cannot say for sure whether they eventually go hand-in-hand or go tooth-for-tooth, but there they are, both asking to be listened to. 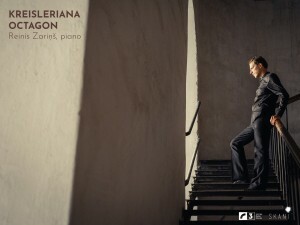 One of Schumann’s most important compositions, his “Kreisleriana”, and Dzenītis’ largest piano work to date – “Octagon”. 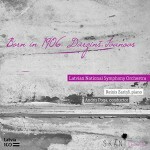 The score of the latter is also available now or very soon on Musica Baltica website. This album is one of the fruits of my 2018 residency of Latvian Radio 3 Klasika. 2018 was a very rich year. I learned and performed 11 new programmes and brought back 8 other programmes. And by Christmas I stopped wondering why my brain feels so cooked — I knew why. Last January, I rambled here about the lack of concerts in my diary — and in fact, regardless of all the craziness of the 2018 fall/winter semester, indeed there were 3 months I had no concerts and no income at all. It was a hard season for me and my family. We had spent all our savings by the time I got my next fee. On the last week of August, however, I went into a recording studio (the result is being released as I write this!) and there began an ultra-marathon that ended on Christmas Eve. There was a new programme every other week, sometimes every week, with no time to surface for breath, no free days really. It was the most extraordinary busyness I have experienced, and it left me so exhausted that I thought I will not want to see or play the piano for a month. But a few days of home life, and I was back into my curious mode, thinking about new programmes again. Curious, my mind. My homeland Latvia reached its 100th birthday last year. To be precise, it’s 100 years since its first proclamation of independence. However, 50 of those years were spent under occupation, so Latvia is really a very young country! Nevertheless, its cultural offering is considerable, and last year, this was proven through a plethora of fantastic productions and performances all over the world. Some of them I had the privilege to offer. 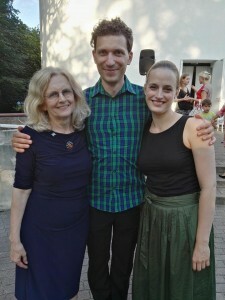 Recitals in Wigmore hall and Warsaw Radio with my Trio Palladio, performances of THE SEASONS in London’s Brunel underground shaft, the year-long Radio Klasika residency and, to top it, a solo recital on the day of Independence in Riga — these were deeply personal moments that reminded and keep reminding me my roots and my “mission” of being a Latvian. The two residencies were my first ever and they, of course, meant a lot to me. The opportunity to discover so much of new music and to strive to offer it in a meaningful way was exactly the kind of thing I love to do. 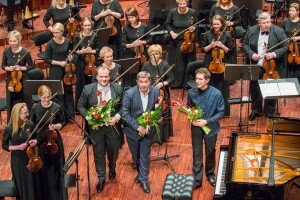 Three new programmes for concert hall “Cēsis” with Trio Palladio – “French impressions”, works by Pēteris Vasks and “Life, Death and Eternity”, and three solo programmes for Radio Klasika — “Piano Americano”, “Night Thoughts” and a CD programme — what a richness of musical experience in a single year! I have been performing Messiaen’s Twenty Gazes on newborn Jesus for several seasons now, but I must admit that the one performance in Seattle St Mark’s Cathedral in December (two days before Messiaen’s 110th birthday) was the most special. The acoustics of such a magnificent space, the darkened candlelit atmosphere, the extremely attentive audience — it was a dream come true. All the more joy, then, to hear that this had been a dream of many years, now come true also for the cathedral’s music director! 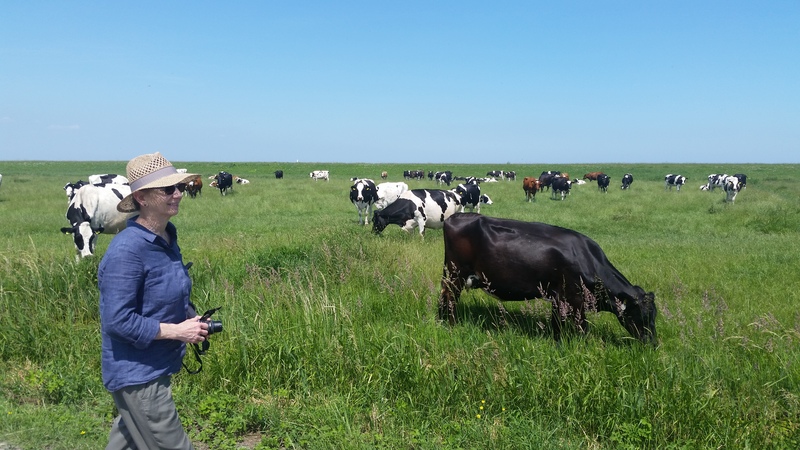 This year, for the traditional rehearsal session with musicpainter Maryleen Schiltkamp, I did not fly — I took my family on an exciting road-trip to Amsterdam! It wasn’t work as I know it — it was fun! Andris Dzenītis. A Latvian composer of highly charged music. Leipzig Gewandhaus orchestra and Andris Nelsons are now touring his new work “Māra”, today in London Royal Festival hall, I have the tickets. Yesterday I walked, cycled, savoured London with Dzenītis, and the day before I was editing my recording of his “Octagon”, a piano cycle he wrote for me. He is 40 this year and his is a strong individual voice. Do listen. Impossible not to share this video we made to advertise my 13 Oct Beethoven recital in the historic seaside concert-hall Dzintari. Even though Beethoven’s music generally is not programmatic — there are hardly any defined narratives or pictures — it nevertheless inspires imagination in a powerful and lasting way. And so, thinking about the amazing moment in Sonata No.21 when the brooding dark blue Introduzione gives way to the glorious fresh light of the Rondo, I suggested to film a sunrise — because it is this moment that has given the Sonata its nickname Aurora and also because I just longed to witness a sunrise, only needed a good motive to wake up so early. So the next morning I was up at 3:45am and drove to Kemeri National Park where, under the starlit sky, I met the enthusiastic video specialist and drone pilot Kaspars Balamovskis and his assistant. 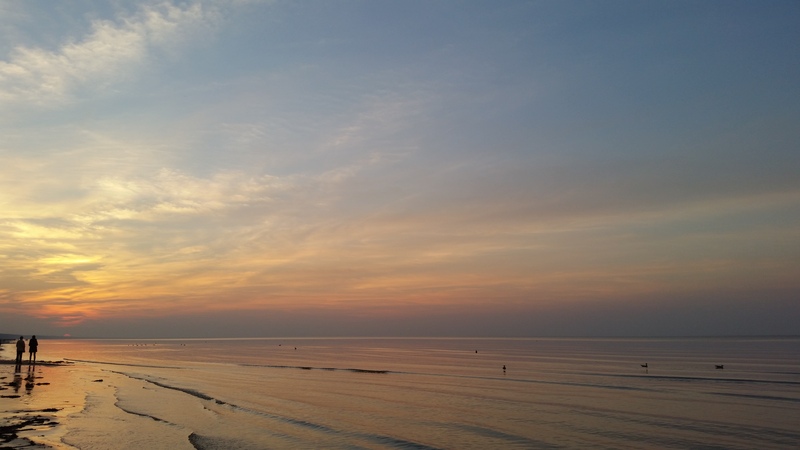 The result is in this short, maybe too short video where I suggest that it is my wish to understand Beethoven’s thoughts in his sonatas, that has brought me to witness how the First Artist paints this sunrise — so that I can try and imitate. 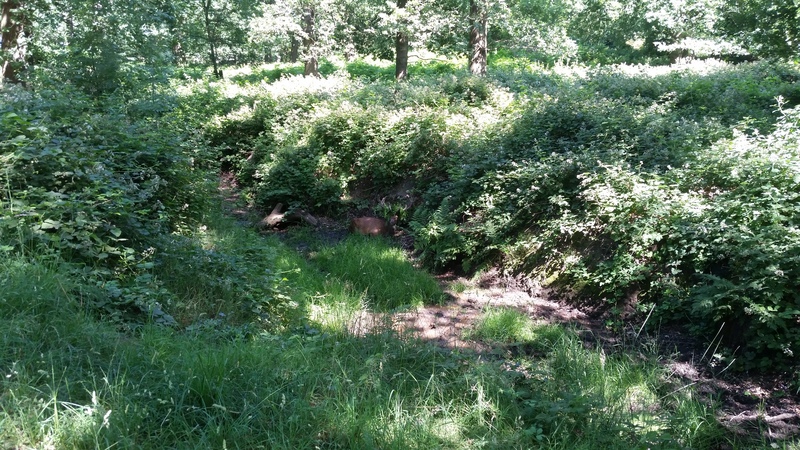 Do visit Kemeri swamp. It will stay with you. 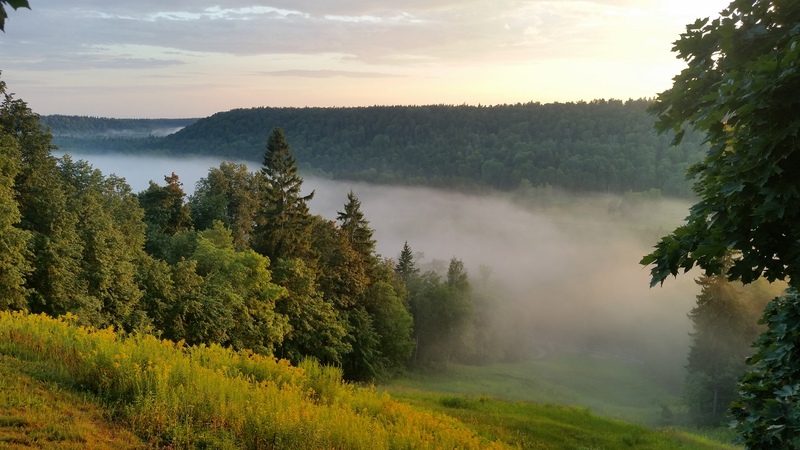 After invigorating 10 days of teaching masterclasses and performing with some wonderful people in the happy town of Sigulda, I am now getting deep under the skin of Schumann for my upcoming recording sessions. In particular, I am reading now ETA Hoffmann’s writings which played a crucial role in Schumann’s self-identification. What a surprise to read of Hoffmann’s autobiographical character Kapellmeister Kreisler — and to find him to be almost an exact imprint of Schumann — or rather vice versa. And the writer’s peculiar literary style is so closely paralleled with the composer’s musical style. No wonder Schumann himself admitted that “Kreisleriana” is the only title he decided on BEFORE composing the music, and so I find it such a great fun to try and decipher the precise connections between Hoffmann and Schumann in this so very personal, so very moving opus of music. Even though Dzenītis’ OCTAGON did not get the Great Music Award, nevertheless another 2017 happening I had great pleasure taking part in was given the Award of The Concert of the Year!!! 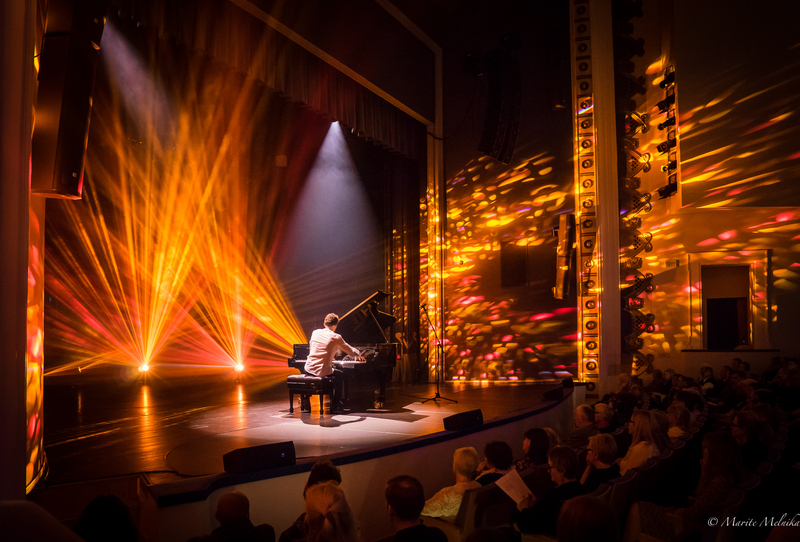 This was the Opening Gala of Liepaja Stars Festival 2017 where I had the privilege to premiere the new Arturs Maskats’ Piano concerto which he wrote for me! The whole process was truly memorable. Andris Dzenītis’ piano cycle OCTAGON. EPISODI E SONATA written and dedicated to me, is now on YouTube! 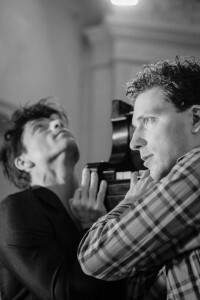 Following its (so far) only public performance, seen on this video, it also earned a nomination for the Grand Music Award of Latvia, in the category “New Work”. On 6 March, we will find out whether the jury will actually give the Award, but its having been nominated from among great many other new works is an honour and joy! Another year has passed, another countdown to the next. So much has happened, yet so quickly it has passed. It seems right to highlight some moments, since all moments cannot be of the same importance. And some moments in 2018 should be looked forward to with greater anticipation than others. For me, this last year began with the annual two family get-together in a gigantic indoor soft-play where mostly children are chasing one another through a see-through labyrinth. I say mostly children, because some parents like to join in, especially dads. The chases are dangerous for grown-ups because they don’t know when to stop. So I got some pretty serious leg injuries on that occasion. They were fully healed by July, so no problem. We are repeating this in 4 days time. Wohooo! What else would a concert pianist do? I learned to drive a car. In London, that feels like a true achievement. My first instructor had to go since he used the driving lessons to preach Islam to me. Then I failed my exam and took several months to get back my courage and try again. Even when I passed, I was sure I had failed, and my examiner assured me that musicians’ brains, yes, they do work differently. Thanks. 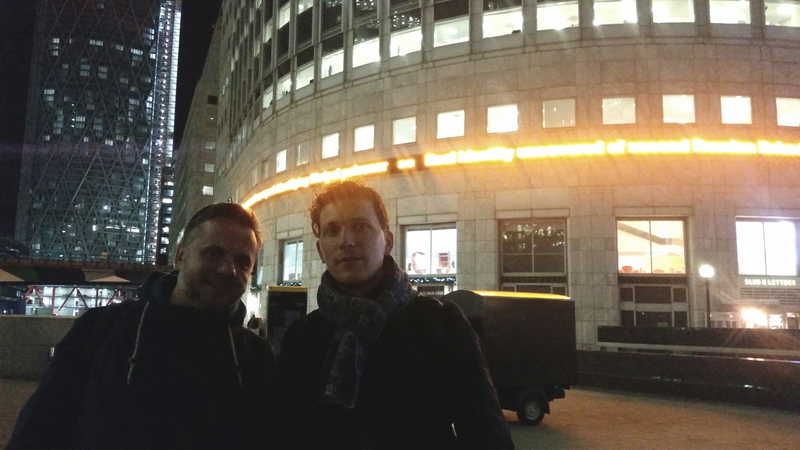 Around the same time composer and friend Arturs Maskats came to London and we worked on his new Piano concerto together (video of the premiere). It was somehow very nice, to walk and talk, and also work on his manuscript. 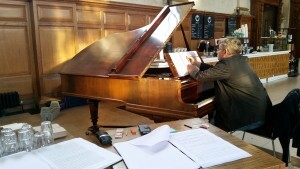 Arturs has now endured his 60th birthday celebration concert, and is hopefully… well, writing new music, of course! 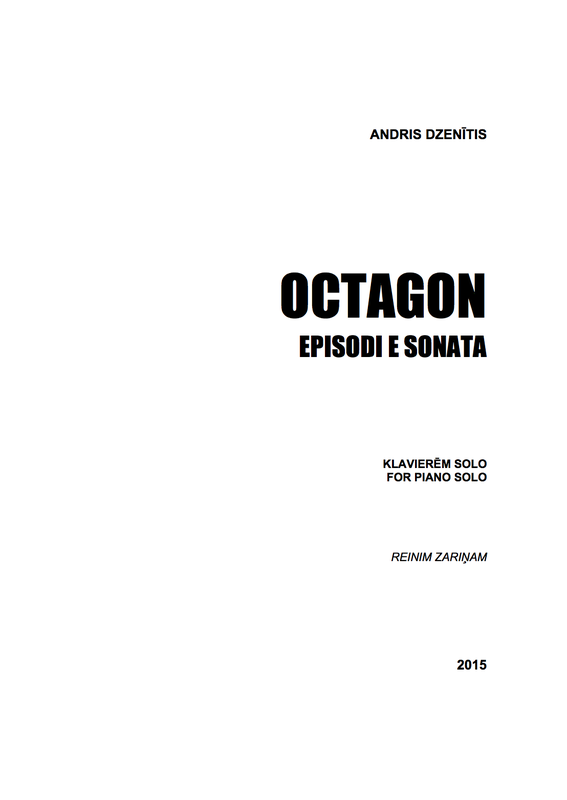 Later the year, I studied and performed another large work dedicated to me, this one by Andris Dzenitis, called “Octagon”. This reminds me. I have it filmed but have not had the moment to post it. Will do. Then there was that weekend in summer where I had three different programmes in three festivals on three consecutive nights. By the third day, I had fallen ill with high fever, but since my recital was the closing event of that festival, I didn’t feel like cancelling it on the day. So I played it, half-conscious. The interesting thing is — I was completely healed by my last piece. Here is a fun single-take video one guy took during this recital. I do not sound that sick, do I? Strange stuff. 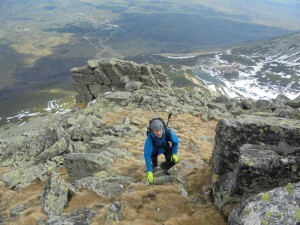 Sometime in between I managed to climb a real mountain in Slovakia, outside the climbing season. That turned out to be test-your-limits-kind-of-experience. 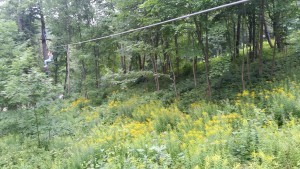 After climbing down the peak, I had lost all appetite for mountaineering, but we still missed the last cable-car. Completely drained, with no water left, we began the remaining 10km climb down, and I think this part will always stay etched in my mind. 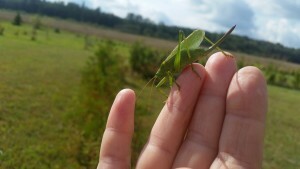 The next day we were quite unable to walk, so my travel partner taught me some close combat basics. Never thought I would do either of these things. In the meantime, there were several successful try-out sessions and performances with my painter-friend Maryleen, under the project name MusicPaintingLIVE. It is not easy to travel with everything one needs for live painting, so every one of these stage experiences was very special. We also managed to put some of our work into film format and made this trailer. I have also had more chances to spend time with my chamber-music partners Eva and Kristīna, developing our Trio Palladio. This naturally connects to 2018. In 2018, Trio Palladio will be the trio-in-residence in the Vidzeme concert hall “Cēsis”, and our first concert is already on 13 January! The “residence” element mostly means that we will return to the hall several times this coming year and that our residence programmes are exclusive for Cēsis. Curiously and quite independently, the Latvian Radio 3 “Klasika” have also invited me, as a soloist, to be their artist-in-residence for 2018. The programmes will be presented live and also broadcast on Radio 3 and videostreamed. Follow here and on my FB Page for more details. In one sense, this is quite something — at least 6 new programmes in 2018! Still, there are several months in my diary where, as of now, there are no concerts planned. No concerts means no income. Now I am sure that, by God’s grace, this will turn out to be another incredibly colourful year. But the free diary of a freelancer is not a good sight, and it requests constant reevaluation of the pros and cons of being a performing classical musician. The answer, at least partly, is in YOUR hands, my listener, my fan, my friend. When the audience is gone, the classical music is gone. Without concerts, the distinct meaning and value of classical music dies. I hope you realise how painfully direct this connection is. So please do commit yourself to continuing going to live classical concerts in 2018. Spotify and YouTube are great, but nothing compares to being there and then, in the fragility of the passing moment. See you in music! Again, I am in the deep end with Messiaen’s music. On 8 December, I will have the privilege to perform Vingt regards sur l’enfant-Jesus at Yale university Marquand chapel (Institute of Sacred Music). In the run-up to that day, I post here a MusicPaintingLIVE concert video where the most ambitious of the twenty movements is being simultaneously painted on a large-scale black canvas. If you’d like to read my thoughts on the creation process of this musicpainting, you can do it here on our FB page! MusicPaintingLIVE – Messiaen ‘Par Lui Tout A Été Fait’ (Vingt Regards) from Maryleen Schiltkamp on Vimeo. My brain gets eight-sided these days. Octagonised (not agonised, no, no, no!) The reason lies within this highly imaginative, beautifully balanced set of eight miniatures where seven colourful affects are gathered around the eighth — a severe, even aggressive and bluntly painful. This is my first hands-on experience with Andris Dzenītis’ music, and I can say I really like it! One thing I particularly love is when, in the midst of cascades of sounds, he sometimes makes us listen to a single sound, listen intently to its progress through time. It is so valuable, to stop in the mad rush, stop and listen. Even the pianist, rushing to learn the material quicker, knocks against these fragile vibrations of air and has to calm down and breathe. This, by the way, is also the title of the first miniature. Breathe. And then take the time to listen and to live. I appreciate that Dzenītis, even though an outspoken advocate of complexity in contemporary academic music, is not into making statements by writing deliberately difficult, inapproachable music. His soundworld makes direct emotional impact and strives for meaning and even beauty. It is an honour to be the dedicatee of this new work. 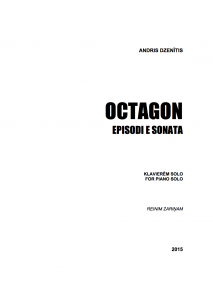 You can hear the world premiere of OCTAGON on 9 September 7pm at GORS concert hall (Rēzekne, Latvia). Next weekend Maidstone, a town south-east of London, will focus its city-wide lens towards Mars. Dozens of artists from all over will gather there to celebrate the planet of our solar system that is the closest to ours in many ways. NASA has wanted to send humans to Mars for a long time, and this Festival will surely add fire to the Mars dream. In fact, it is directly from NASA that the impulse for the theme of the Festival was born — in 1976, they named a small crater on Mars the Maidstone crater, after this town! Over the years, I have had several dozen opportunities to learn and perform music written by Latvians. As a musician, I feel myself a global citizen serving people of all nations; the same applies to my worldview. But as a human being, I do come from one particular geopolitical and cultural location, and I still do need Latvian language to express my deepest thoughts. 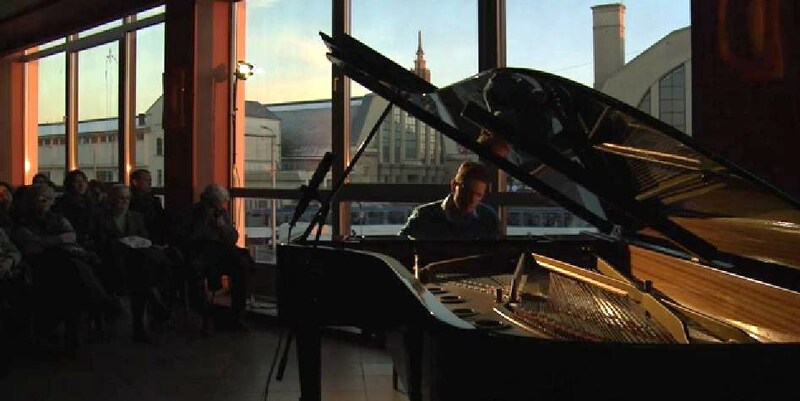 I am not sure whether there might be something particular that only a Latvian can grasp in another Latvian’s music, a DNA that inevitably shows to those who share it. But it feels natural to spend part of my time and energy on Latvian music, and it feels beneficial for my indirect understanding of what a Latvian is in this wide world. 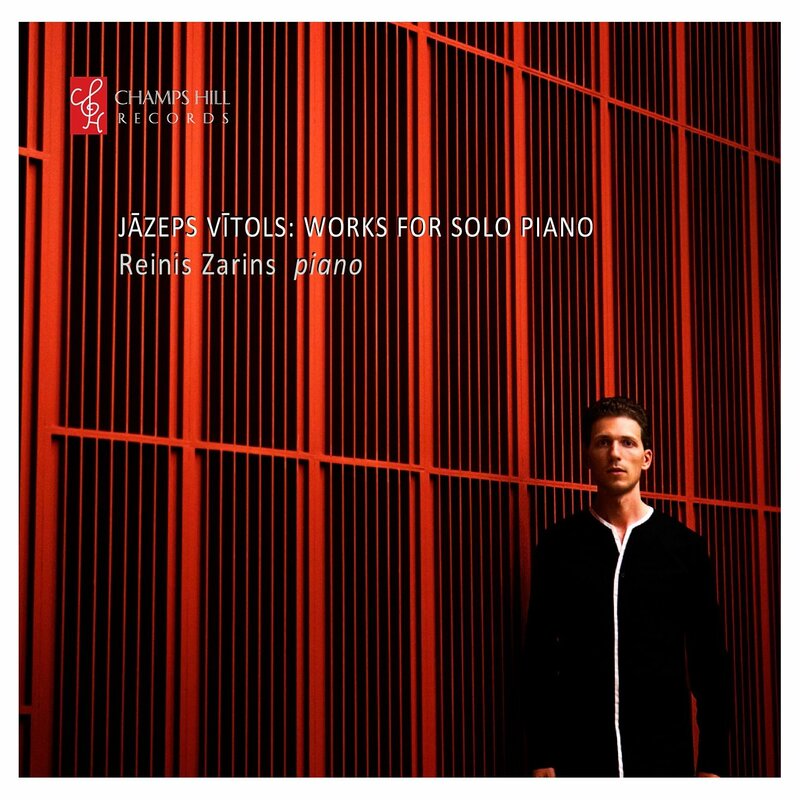 When I worked on my Jāzeps Vītols piano album in 2012/13 (Champs Hill Records), it was a huge undertaking in terms of the available material. So much to choose from, so many articles and even books to help me understand the man and his times. It has been different with Lūcija Garūta (1902-1977). Her role in Latvian music is undoubtedly significant, but the extent of this significance is yet to be established, because there are so many things that have not been unearthed yet, have not been published and weighed carefully. Currently there is no dedicated workgroup or fund for this work, and all the initiative more or less comes from one person — Garūta’s relative Daina Pormale. It was Daina who called me in the winter of 2013, to invite me to record Garūta’s Piano concerto. At the time, I was not familiar with this work or Garūta’s music as such, so I did not immediately jump for the chance. But I grew to love this work which holds such significance, musically and personally, for Garūta. I recorded and performed this concerto early in 2015, and this performance was awarded the Grand Music Award, but the recording for various reasons has been gathering dust since. Not so long ago, finally, the solution came — for me to record my choice of Garūta’s piano music alongside the concerto, and so publish the disc on the Latvia Centenary series on the label Skani. And so, a few weeks ago, I finally completed that part of my journey with Garūta’s music. The disc will hopefully be available this winter for purchase in hard copy and on all the best online platforms, including Naxos Online and Spotify. It was not easy to choose the repertoire, since many of Garūta’s works are still only available as manuscripts, or worse, they are assumed lost. But in the process, some of what was lost was found, and so I hope that the result will be of interest and revelation to many who love finding lesser-known gems of classical music. This is the room where Garūta composed and worked with her students. Because of health issues, she was progressively unable to get outside of her flat. Having no elevator on the 6th floor didn’t help either. 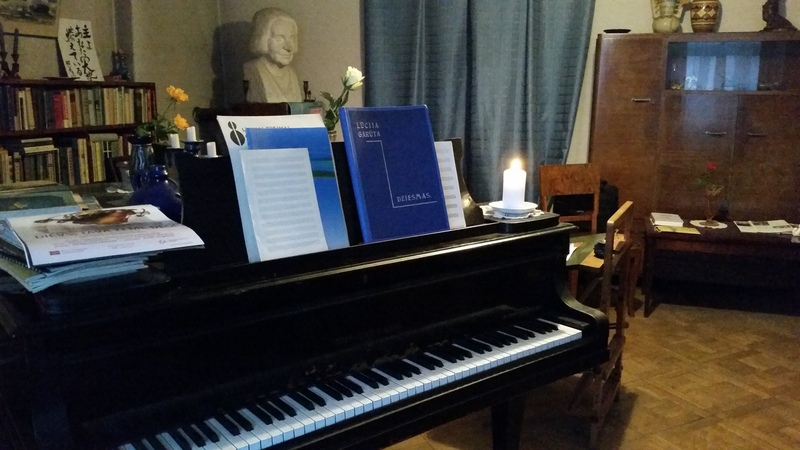 The room has been kept as it was, however, the building where the flat is located, is planned for demolition, so I am very glad that, courtesy to Daina Pormale, I was able to spend one afternoon in this room, sit at Garūta’s desk and play her Steinway, before this room is no more. Finally, Arturs Maskats’ Piano Concerto is on YouTube! And after one more thorough check, the music score of this beautiful piece of music will be on its way to being published. It is the first concerto written and dedicated to me — do I feel spoiled! Thank you, Artur! Some 5 years ago, in the backstage after a memorable performance of Messiaen’s Quartet for the End of Time, I heard one Latvian composer half-joking to another Latvian composer: “See Reinis here? It’s about time you wrote a piano concerto!” One said, “No, I just don’t write for piano with orchestra!” The other mumbled something. Today, I am working hard on the fruit of that tongue-in-cheek conversation, the fruit of the other composer’s imagination. We have been chatting over the years and getting to know one another better and better, and together with his other works, I now feel that I am slowly getting a clearer picture of Arturs Maskats’ language and sound. He has written a colourful, romantic, highly-emotional piano concerto, and he has dedicated it to me! Last week, we spent a whole day in London working through the piece measure by measure, and now it absorbs in my mind quite well. This is slightly more demanding than usual, since there is no recording available to hear how it sounds all together; all we have is the full score, so I am getting some very good score-reading practice right now! We will begin rehearsing as early as this coming Monday, to have plenty of time to make ourselves at home in this music. The world premiere will take place on 3rd March 7pm on the Opening Gala night of the 25th International Stars Festival in Liepāja, Latvia, in the amazing Great Amber concert hall. More info here. It is with great pleasure that I hear and share about my recent nomination for the Grand Music Award of Latvia, this time in the category “Musician of the Year”. Admittedly, 2016 has been a very rich year in my musical life, including the fulfilment of several dreams and hopes. These include the creation of SEASONS, a dance-music-visual-spoken performance show based on Peteris Vasks’ highly expressive piano cycle of the same title; the continuous successful development of MusicPainting Live, a performance-based collaboration with painter Maryleen Schiltkamp; and the highest peak for me personally, Messiaen’s monumental Vingt regards sur l’enfant-Jésus. So in some way, I feel that I need to spend some time this year dreaming new dreams, so to speak; on the other hand, the above-mentioned achievements are just the beginning of hopefully fruitful future work. And there are some new things, like this new piano concerto currently being written expressly for me by Arturs Maskats, that make me look forward to the New year with gladness. It is exactly that — gladness, because it is necessary and right that I should use the abilities and gifts given to me according to their quality and quantity, just as I love to! Happy 2017 to you, too! Tomorrow is the international release date for my latest CD! This album happens to be the first time a concerto I perform is published in disc format. It is a hugely exciting and sparkling piece written by a Latvian composer Volfgangs Dārziņš — a true show-stopper. Later in his life, Dārziņš’s style changed completely, so much so that one cannot tell it’s the same man behind the music. Also on the disc, you can hear the last finished symphony of the great Latvian symphonist Jānis Ivanovs. Both works are performed by Latvian National Symphony orchestra and conductor Andris Poga, a partnership I have been privileged to enjoy for many years. You can hear the disc on iTunes,via Amazon or elsewhere. It was a nice surprise and perhaps a comical one at that, when I was asked today during an interview what I thought of my Bristol performance of Messiaen’s Vingt Regards this week, and then told by the interviewer what The Guardian critic Rian Evans had thought. I had no inkling that there had been any reviews, apart from absolutely heartwarming personal messages sent by audience members. But for what’s it’s worth in the order of this world, having one of my performances lauded on an international paper is very encouraging. Plus, Andrew Clements (also of The Guardian) put the Bristol concert among his top 4 classical concerts list. Read the review here. I am to perform Vingt Regards once more in Dzintari Concert hall near Riga, Latvia, tomorrow 7:30pm. If you happen to be anywhere close, come and join in the awe-inspiring Christmas meditation that this majestic piece is. Yesterday I experienced a very personal joy as I took the courage to play through Messiaen’s complete Vingt Regards sur l’enfant-Jésus from memory. Isn’t it interesting — I have been working on this piece on and off since Messiaen’s centenary year in 2008, with an obvious boost in 2016 when performance dates were agreed. Yet it was only yesterday, a bit more than a week before the first performance, that I took to playing it through without the music. As I reflect on it, I think it has to do with the fact that there is nothing quite like this task in my experience — its challenge surpasses any other so far. Yes, since the composition of Vingt Regards, there are works written that are much more complex, and I wouldn’t think twice about memorising them — the deliberate randomness of some of these compositions, I think, is at odds with the very idea of memorising them. And, of course, the tradition of pianists performing always without the score is in decline now. However, there is so much in Vingt Regards that follows the great Romantic tradition, and it reads well and is completely reasonable, so there’s no reason not to memorise, just like it is strange to perform Chopin Nocturne with a score. It’s just a few regards that contain passages written purely mathematically, that seem to require a computer brains to internalise them. This is why I decided to try my best in performing without the score, long as it is — a book of 177 pages taking more than 2 hours to perform. The slightly childish joy I am feeling for having climbed this piano Everest, now has to give way to necessary adjustments and then climbing upward again. Time for work! I am finally on the home straight towards the long awaited first performance of the complete Vingt Regards by Olivier Messiaen. There is so much to do still, but in some sense, this is at last the time when no other more pressing responsibility stands between today and 19 December when I will perform the Regards in Bristol St George’s. In between today and my last entry in this blog, so much has happened. 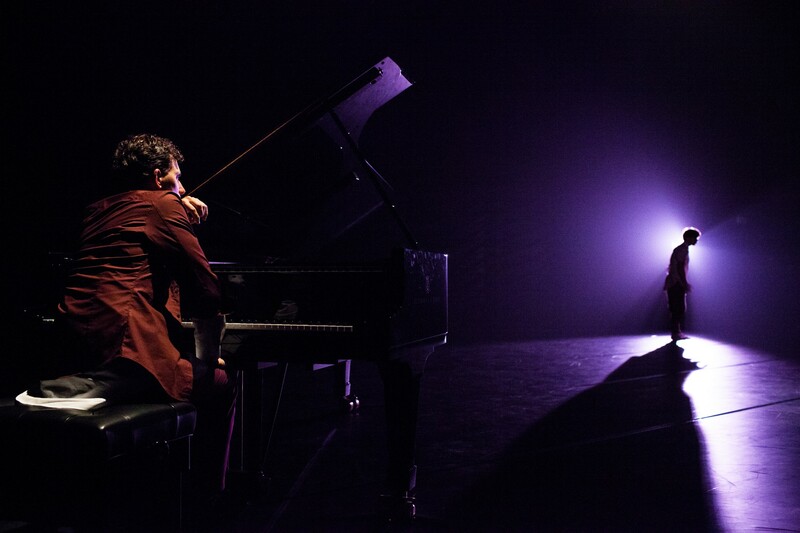 One of the highlights is a new version of the choreographic recital THE SEASONS that I have been performing this year with choreographer-dancer Kirill Burlov. This new version includes livestream projections and live painting alongside different use of space. In this show, I also recite lines of poetry written by V.Belševica — we obtained a good translation in English. But THE SEASONS are still developing, and we are looking towards expanding both the music, the poetry and the message incorporated in this show. So stay in tune here or on my Facebook page. The other highlight has been a continuous preparation and a recent performance of MusicPaintingLive — a new project between me and painter Maryleen Schiltkamp. In our collaboration, we create an immersive experience by literally livepainting live music — its overall feeling and meaning, its musical structure, its main motives and melodies and what we think they represent in the realm of ideas. We work in a studio to find the best expression for all of this and then present it simultaneously on stage — see our Facebook page for more information, or Maryleen’s website which exhibits both MusicPaintingLive and her other paintings. But now it is time for me to dive deep into Messiaen and the Incarnation of God — since this is the topic of Vingt Regards. Because of this, I think Christmas is the most appropriate time to perform this work, although the thought of God becoming human is so massive, it should be mulled over throughout the year. Perhaps you say, I don’t believe this fairy-tale; but I say, let’s take time out of our short strange lives and investigate this case of Christmas: investigate the eyewitness accounts of the birth of Jesus, investigate the sheer amount of centuries-old prophesies from the Jewish scriptures becoming true in that child. Investigate for yourself and don’t rely on others giving you the right answer about such a huge topic. Interestingly, Messiaen has said that he didn’t have any doubts about the Incarnation. Perhaps being part of the Catholic church helped him gain such assurance. Those living more in line with the prevailing postmodernism of today, will no doubt find it hard to believe as Messiaen believed. However, even for a skeptical person like me, I find that there are solid grounds for belief in what the eyewitnesses tell us. So then — onward with this journey! Today, an orchestra arrives in Latvia. They call themselves “Moscow Virtuosi“. And I get to play a concerto with them. 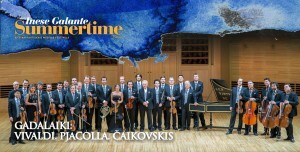 They will perform SEASONS – by Vivaldi, Piazzolla and Tchaikovsky. And the piano concerto also has wonderful white purity side-by-side with midsummer joyfulness. We will rehearse only before the concert and since their conductor Vladimir Spivakov cannot be here today, we will be helping ourselves with some chamber-music tricks: little nods here and there, a few gestures to indicate the tempos, attentive ears and eyes, and that should do it. I hope you will come and find out for yourself. begins today in Halifax, Canada, with a smashing array of great shows, all put up by the heart of it, Christopher Wilcox. It’s been an honour getting to know him over the weekend. Lots to look forward to in the next two weeks! Check the programme here. I’m prepping my muscles for some really wild waltzing in Ravel’s La Valse tonight @Dunn Theatre, Dalhousie Arts Centre 7pm. A few glances back at our GADALAIKI/SEASONS premiere. 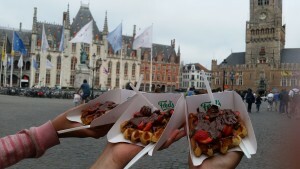 It really was worth the hassle, oh yes, it was! 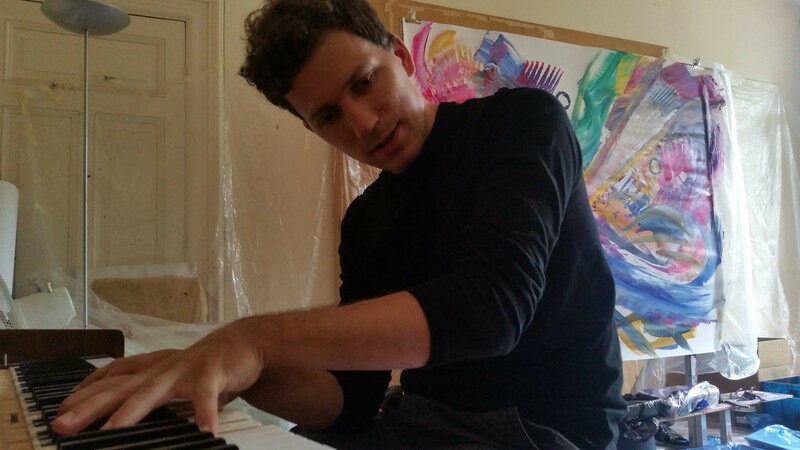 Only one more week to work on the concert-reflection GADALAIKI/SEASONS with dancer/choreographer Kirill Burlov! I find it fascinating to remember that countless versions, ideas, accessories, movements and words have been — have had to be brutally cut off in the creative process that has lasted for more than three years. And we are nowhere done yet — although the overall shape is very clear for us, the details are in constant flow: each run-through confirms or reveals a new weakness previously unnoticed. Surely, the perfection cannot be attained, but we trust that this process at least clears the way from superfluous things for the essence to come through. 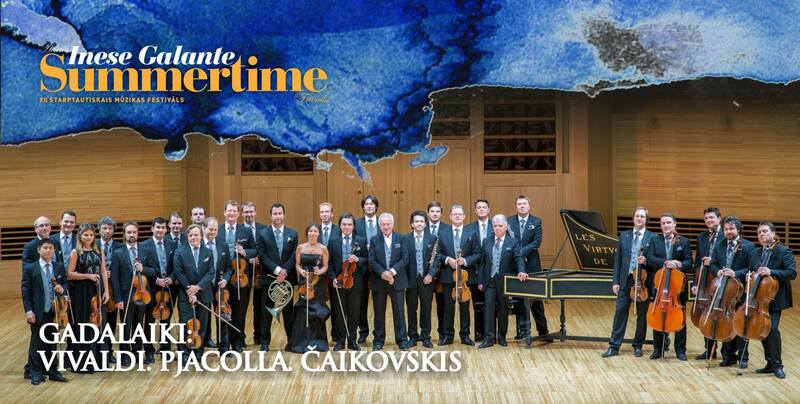 We will perform GADALAIKI/SEASONS on 24 April 6pm at Rēzeknes GORS, the majestic concert hall in Eastern Latvia. Afterwards, we plan to perform it in several cities in United Kingdom and also return with it to Liepāja, the Western end of Latvia, in August. We hope that you will join us in the experience of SEASONS! Many things have happened in my life since the last post. All of them, in the final count, good for me, even if they sometimes don’t look that way. This time, my reason for writing something here is to introduce another new development I have been working on recently. In fact, not just recently but on-and-off for the past 2 years. This is about music and movement. It was another of my daydreams, similar to what I have written about in another post here, MusicPainting. And now it is taking a very real shape! 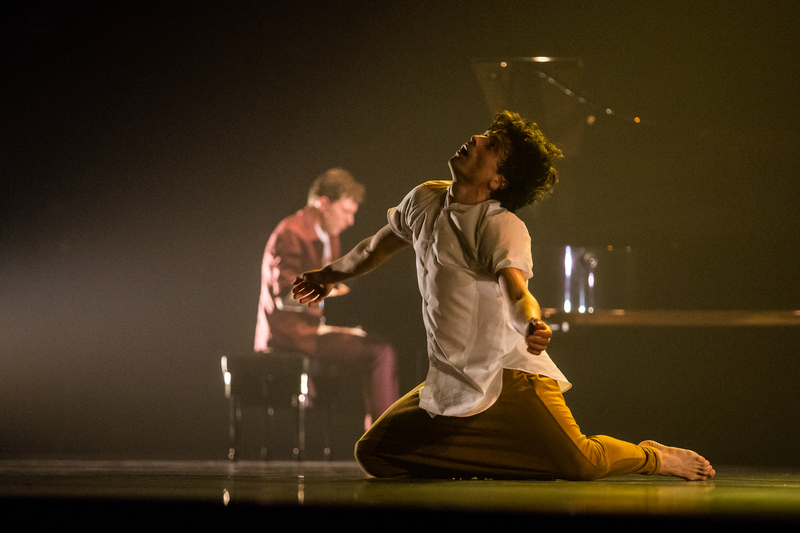 Kirill Burlov is a dancer and choreographer who has danced and created for many years with Rambert, one of the most important dance companies in the world. 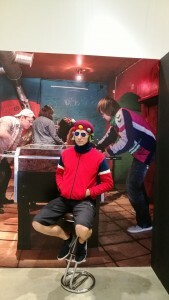 He is also a Latvian. And a Russian. These two “bloods”, and several other facets of his personality, make a man with conscience, an artist who seeks not the quick fame, not the easy way. 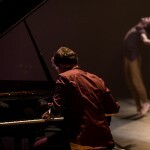 I wanted to see music expressed in movement. 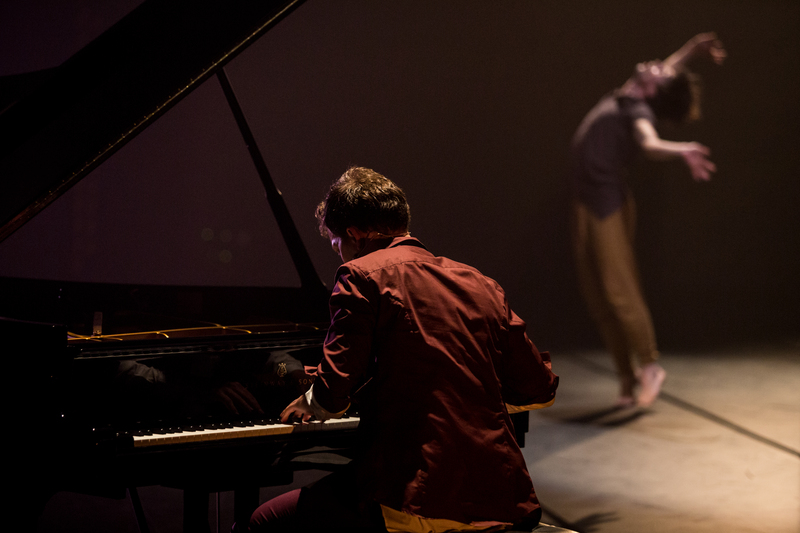 Kirill wanted to see dance and music mingle in such a way that music doesn’t become accompanist of a larger story. After at least 2 years of discussions, now we finally are doing something! We decided to take as our foundation the great Pēteris Vasks’s piano cycle Seasons. There were other suggestions, too. But when I challenged Kirill, saying that it is close to impossible to dance to Vasks’s music, he shot back, “Vasks is perfectly danceable!” And so we stick to this challenge. It turns out, as we work on it, that the music is much more complicated than we both expected. Yet, this only gives us a kick to work even harder. 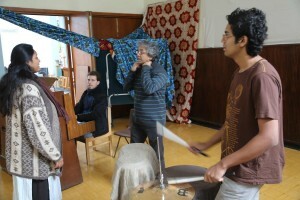 During our rehearsals, I have learned a lot about the different ways choreography can be created. To start from a basic movement, then expand it, add variations; find glue to link the separate elements; check whether the move can be seen in this angle; do some acting or avoid it altogether; film yourself; constantly feedback one another; ask a few trustworthy friends to come and give some advice; look for ways to include the pianist into the movement, too. So much new! And I feel so awfully static at my instrument now, as if superglued to it. But what alternative do I have? Play melodica and do some jumps instead? We are going to show SEASONS first in Latvia — check CALENDAR for dates, and also we are currently working to find the best venues for it in UK. Looking forward to seeing you there, too! However, this post is about another fresh experience I have been given recently, namely, playing in a piano trio. In exactly one week, I am going trio in Latvia: on 14 Oct 6pm, we will perform in the city of Rēzekne, in the stunning concert hall complex GORS; the next day, we will step on the recently renovated stage of the renowned Dzintari concert hall Small hall, a new chamber venue whose acoustics everyone’s talking about these days. I haven’t been there yet, so we’ll see. Doing trio is indeed fresh to me, a lone wolf that I am these days soloing away for months at a time, with the exception of piano concerti. I have dreamed for a long time of playing together with excellent musicians in a small group but somehow my hands have always been full with solo things and concerti… till now! After some rather light-weight performances earlier this year in UK, the three of us agreed we should play a feature-length recital, too. My brilliant partners in this endeavour are Eva Bindere, a violinist of spectacular ability, and Kristīna Blaumane, a cellist of rare musical intensity. Both can boast immense chamber music experience. Needless to add, I have already learned a lot from our sessions together. In this process, maybe the most challenging thing for me so far has been to relocate my ears from where they are used to be — right next to the keyboard listening intently to the piano sound, to where they are not used to be, that is, on the other side of my partners, listening intently how my sound melts into theirs. It’s a relief to know now that this relocation generally happens by itself. But it takes some time to adjust, and it’s not that easy. It’s definitely different than what happens when I play in front of an orchestra. The subtleness required is of another level altogether. We have prepared a programme fuelled with great clarity, great depth, great energy and great emotions. We will therefore frame the concert with two Viennese masterpieces: Beethoven Ghost trio and Schumann Trio No.2, while the middle-ground will belong to our Latvian contemporary Vasks and the Japanese impressionist Takemitsu. I am very much looking forward to these performances. I really am, all the more since this is not my usual piece of toast. I love it! It’s that time again — the time to go under a handful of microphones; the time to share decision-making between three – not only myself and the conductor, but also our sound engineer/producer; the time to nail down those deceptively easy 10 minutes per session. Happily, I have a fantastic team on my side – every time I have performed a concerto under Andris Poga’s baton, he has been a true partner for the cause and has shown genuine interest in extracting the best musical espresso from the score. And I am very glad to record under Normunds Slava in the control room – his understated, yet very precise knowledge of what’s best always helps me feel at ease. But what’s cooking? Cooking is Volfgangs Dārziņš’s Second Piano Concerto of 1938. In the recent years, there has been a tendency in my work to invest energy into Latvian music. Not that I have lost interest in other music, quite the opposite! But I find it fascinating to discover firsthand the good stuff that hides in the short history of Latvian academic music. Yes, hides, since most of it is not readily available in print, and therefore cannot be checked out by browsing. From my experience and from what others have shared, it seems that in Latvia, a musician must first get to know the right people to get to know Latvian music. Therefore, I sincerely hope that the good work Latvian Music Information Centre has begun, will soon grow to resemble organisations like Canadian Music Centre, with a free library of audio streams, non-printable sheet music and other goodies that make music browsing great (and legal) fun. I should also say a word about Volfgangs Dārziņš. Perhaps the best way to describe his personality, character and music simultaneously, is by saying that he was “a composer, a famous composer’s son”. This fact, it seems to me, influenced the very roots of his persona. From early on, he wanted to be “different”, not like his father. He was writing mostly instrumental music, and when asked why not art songs, he replied that he’d never surpass his father in that genre. Surpassing. Unlearning everything academic. Working very hard. Leaving nothing to chance in his music. Focusing single-mindedly on whatever the task or interest, be it musical or not (i.e., proper preparation of coffee or pipe-smoking). It seems to me, something of a perfectionist was in this man. Well, shall I say that a lot of this would also describe me? That Dārziņš’s hardship-marked life in exile reminds me of my current situation, too? Even though I see these and many more surprising similarities between our lives, it doesn’t automatically mean that his music is to my liking. And, sure enough, his Second Concerto couldn’t avoid my usual love-hate relationship: I first found it surprisingly fresh-sounding, then got bogged down by textual problems in the handwritten, still-to-be-published score and its counterparts, not to mention what seemed to me a certain lack of logic in the overall form, and now I suddenly begin to see it all gradually making sense! Yes, there is a good deal of more-or-less traditional strongly romantic flavour to this concerto, with some rich gershwin-esque seasoning, yet there are lots of wow moments that make me look forward to our recording sessions with real joy. I remember myself, sitting in a side row in the huge St.Peter’s church in Riga, listening to some powerful and penetrating music that lasted for a long time. And I particularly remember suddenly noticing on the white wall a large shadow of a hand holding a supersized mallet, and watching in horror the hand being slowly raised for a deadly blow – and then actually HEARING that blow, amplified by the incredible acoustics of St.Peters… Frightening, unforgettable moment. It was my first encounter with John Tavener’s music. I think the piece was his Fall & Resurrection, and his instantly recognisable tall figure clad in white was there, too, in our midst. Now, some 15 years later, I am about to have my first Tavener performance – and this will also take place in that same St.Peter’s church! The work, loosely resembling a piano concerto, is called PRATIRŪPA. 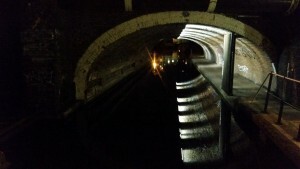 The title means “reflection”, mirroring. Accordingly, Tavener literally mirrors every event we encounter, from the shortest motif to the monumental shape of the whole composition. A naked ear, of course, cannot easily grasp the mirroring in anything that is longer than few letters or pitches. But even with that, I think more or less every listener who actually sat through this piece, will agree that it doesn’t really go anywhere, that there isn’t the traditional progress or storyline or transformation or build-up for a climax. No, this music simply IS. There is no argument to discuss and prove, no conflict to resolve – since everything reflects itself! Its being there is enough. This is a Hindu idea – this leaving of all striving, for the purpose of losing oneself in the greater whole. 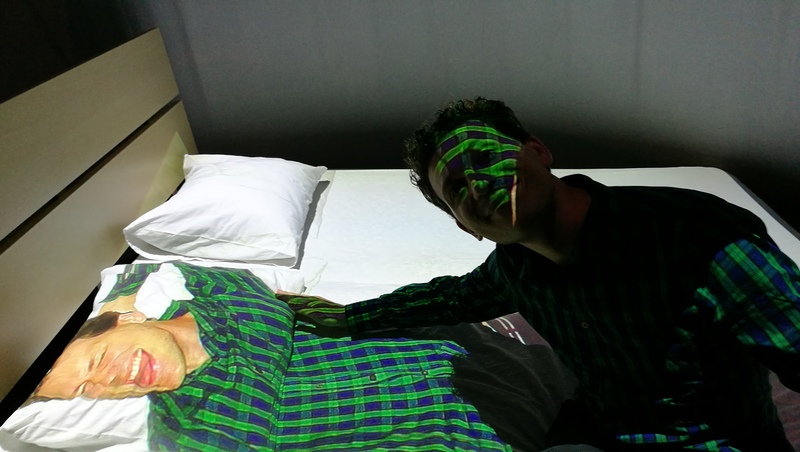 And it is something very new to me, to experience so literally as in playing this mirroring of mirrors. … it has taken a while obviously. Most of my posts happen on my FB page or FB profile these days. Nonetheless, I want to share, if only in a very general way, about a recent development in my musical activities. It really began many many years ago, when I first caught a glimpse of someone making music seen. Since then, there have been many who do it one way or another. In the back of my mind, I always wanted to try having music visualised, too – maybe because I often perceive music in colour and smell and other senses. Call it this weird brain connection, call it God’s wonderful gift. Anyway, it took an established painter for my daydreams to begin to form into reality. Maryleen had spent many years doing music-related paintings, but the painting always began at home, after the performance or before it. Yet she took up my challenge of painting during the music performance! 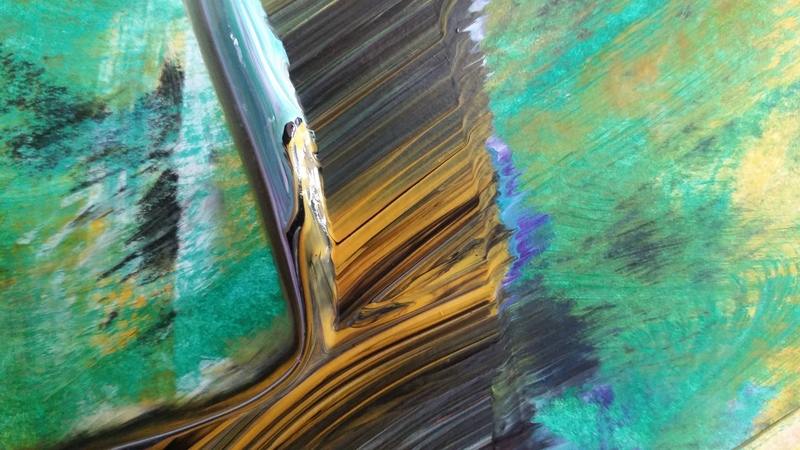 This is of course a rather unnatural thing for a painter – not only to create a piece of art in, say, 10 minutes, but also to create it in a direct response – no, not even response, for there’s no time to “respond”, it’s even more immediate: a pre-meditated, carefully crafted composition, using certain colour in a certain pattern at a certain split-second in time, having no option of editing anything, no time to step back to reconsider, and other such challenges. But Maryleen is certainly more than able to deal with all these challenges and more beside, and as a result we have already spent many days working on our first “set” that we want to show you in a very near future. It will consist of simultaneous playing-painting of well-established works from the classical repertoire, plus a few totally unprepared gos at improvisation on the spot. 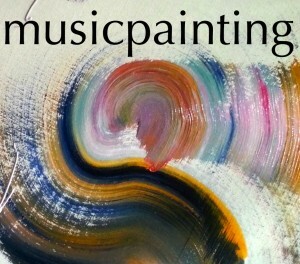 We are very excited that our particular approach is, to our knowledge, new and unique, and want MusicPainting to be experienced by as many as possible. While we are working hard on perfecting the execution of our ideas and dealing with practical performance matters, *you* could help, too, by taking a minute to see our MusicPainting FB page and sharing this information around to get the word out. Watch also our first (homemade) teaser and trailer. As an aftermath of tonight’s performance of Stravinsky Concerto, a post. The whole period leading up to this performance has been very rich in terms of my self-education. To learn the work, I have had to learn the whole orchestral part alongside that of the soloist, I have been practicing my part while listening to the recording of the orchestral part, and I have dealt with all the possible disaster spots — even though none of this can fully prepare the artist for all the xs and ys in a performance situation. Among other materials, I have been reading Stravinsky’s autobiography, primarily to find information pertinent to the specific Concerto, but also, to allow the author to speak to me, and speak the way he wishes. As a result, he has made me rethink the whole concept of interpretation (versus execution), the role of expression in music and even the negative sides to music recording. Stravinsky knew that his views were, so to speak, against the grain for the general audience, so he explains his opinions in his book, and in a winning way. But the actual performance of this Concerto is an incredibly intense exercise of one’s brain and body. No matter how well prepared I was, it was a great challenge to retain the absolute precision till the end, and I speak of mechanical precision, such that robots are made for. At the same time, it was exhilarating to see it happen while making it happen. My warm thank-yous go to the Professional Wind Orchestra RIGA and my long-time musical ally, fantastic conductor Andris Poga! Today, I will perform for the first time together with two truly brilliant Latvian musicians — violinist Eva Bindere and cellist Kristīna Blaumane. We have put together a colourful set of duos and trios which we will perform at the three British Parliaments (with the exception of Westminster) over the next few weeks. To me, it is such an adventure, to be playing in a trio, since in the last few years I have been spending almost all of my time exclusively on solo work and concertos. I must say I really enjoy this energetic exchange of opinions that necessarily must take place for three characters to create a single unified interpretation. And of course one learns how to weigh all those opinions and differences in a productive, healthy way. In a word, I luuuuv it! And no, you cannot come to these concerts unless you are an MP, an Ambassador, or our page turner. But yes, we hope we might perform elsewhere, too. After coming home from a difficult workday, I found out I have been nominated for the Great Music Award – again! 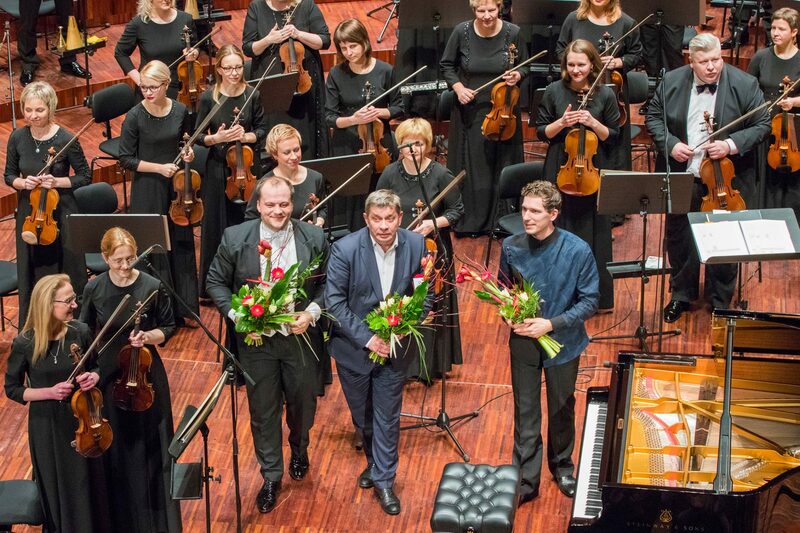 This time, the performances that had stood out for the jury members, were the piano concertos by Scriabin and Shostakovich that I had the privilege to perform with conductor Andris Poga and two of the leading Latvian orchestras – Sinfonietta Riga and Latvian National Symphony orchestra. My name has been singled out for “Outstanding interpretation” in both instances. Follow the link to see the whole list (in Latvian only). Needless to say, I am truly honoured to be mentioned on the same list with Mariss Jansons, Gidon Kremer, Martha Argerich, Sol Gabetta, Egils Silins and many other fantastic musicians. This is a great encouragement in my work, and, God willing, I hope to be able to offer more “outstanding” performances to you. And even if there are no more nominations, I would. I promise. A recent addition to my Calendar, this Sunday, 30 November, I am playing an afternoon recital in London, St. Augustine’s church, at 4:30pm. I will play the seasonal favourite Nutcracker suite, and Liszt Sonata in b minor. The concert is free and even the usual donations are not required this time Between the selections, I will be sharing a bit of my own story, and afterwards there will be some refreshments and a chance to chat. See you there! I’ve been on a real journey with this music: from immediate, visceral falling in love, to strong dislike and hatred, and now fascinated again, although in a much more lasting way, I believe. I will perform this concerto with Latvian National Symphonic Orchestra and conductor Andris Poga tonight at the Great Guild, Riga, at 7pm (Riga time: GMT+2). It will also be broadcast live on Radio Klasika. When you follow the link, click on TIEŠRAIDE on the upper right corner for the live broadcast. Hope you, too, become fascinated with this music. I met Taufiq Qureshi for the first time a few months ago, when he came to give a Rhythm Masterclass at the NJ Arts Centre in East End. A group of us prepared a surprise performance for him, his best-known song in a new arrangement. After hearing it he came up on the stage and joined us for a repeat performance of that song — oh what fun we all had! Now Mr Qureshi is back in London, and will perform in NJ Arts festival this weekend, on Friday with his son and his wife, and on Saturday with a group of London-based artists including me. The address and more details here. I will perform on Saturday, starting 6:30pm, a few pieces as a soloist, and also 3 of Taufiq’s songs in new arrangements. Indian music is a revelation to me and it’s very engaging and fresh. I also love the freedom Taufiq gives me to add my harmonies and stuff to his song. Come along for a cross-cultural experience in music! I like having a bath (and Americans say, “taking a bath”). Rarely do I make time for it, but without doubt it is one of The human experiences. After having one just now, I noticed that my physical senses have become as if cleaner, more immediate. As if the nerves have been washed as well. Walking on the carpet my feet can feel its texture with incredible precision. And this purified sensation somehow reminded me of Schubert. Well, here we go, associations. These days I am absorbed in lots of Schubert and Brahms and Liszt and Bach. This is perhaps my classical period. And I love it! I love to finish a practice session with Brahms or Schubert because they leave me with this purified, calm sensation in my whole body, mind and heart, something similar to what people describe meditation can be like. Stress is gone, nerves are washed, tiredness disappears, senses are sharp and calm. 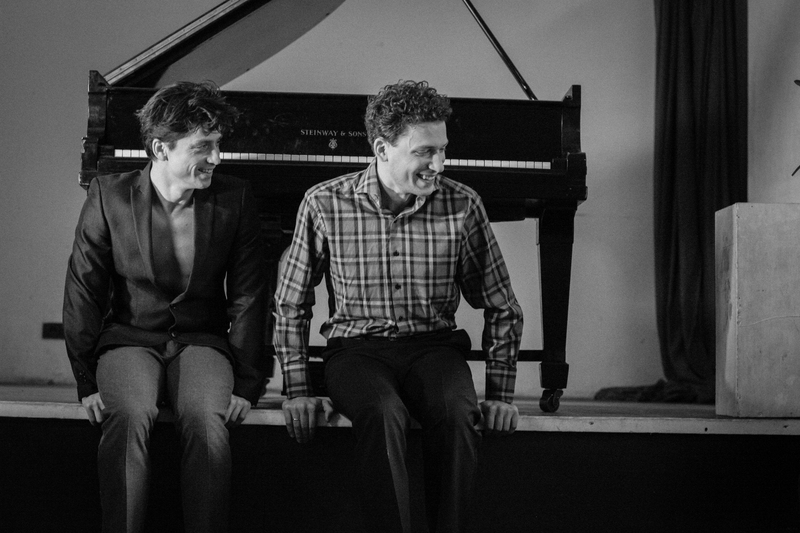 These guys, Schubert and Brahms. Like having a bath. Well, you might like to check it out for yourself. NO guarantees though, regarding baths. But other than that, you are very welcome to come and hear me play this repertoire on 27 September and 5 October in London – please check the CALENDAR for details. Following my previous post, I must announce, regretfully, that the recital in TRURO this Saturday has been cancelled due to various unfortunate factors. I am sad that all the tireless efforts so many people put into this event, are, so to speak, for cats. I am sorry to those of you who booked your tickets already, who had planned to come — it really is a most unpleasant turn. Hope dies last, so I still think that I might perform in Truro Cathedral on another occasion, when the factors are more favourable. Till then, please do check my Calendar for events that cross your way. Thank you for your support, good wishes and prayers. Just in two weeks, I will go down to Cornwall for the first time in my life. An imposing cathedral, in one of the main cultural centres of the county, the TRURO CATHEDRAL will be my host for an evening of piano masterworks. 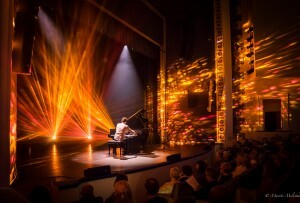 I am getting more and more excited, as I imagine being and performing in that unique space, hearing its acoustics, communicating with the brand new Yamaha Concert Grand. And, of course, communicating the masterpieces to those of you who will be there. With this recital, I am coming back to the inimitable Liszt Sonata in b minor. Many of you know what that involves. Among other things, it involves being immersed into beauty, lots and lots of it. In a way, I should get too much of it, as with sweets, so that I can get over the persistent infatuation with every little corner, and ascend to see the whole picture. This is the way it works for me. And when I soar 40 000 feet above those beauties, I can then look at one and look at another, and choose which ones are really worth my — and your attention, to return back into the concert hall context. Two weeks left to be infatuated and to soar. Hope you will be there! To memorize and perform Lutoslawski’s Piano Concerto last summer was one of the most exhilarating experiences I have had in my life. Now that I feel able to listen to the recording, I want to share it with you. Of course, this was a live performance, not a studio environment, but there are many things I like: particularly the places where the soloist and the orchestra groups must interact in high speed, throwing chords and motives to one another as in table tennis. And then those moments of fragrant beauty at the end of 2nd and 4th movements. This is music of the highest order and must be heard for all its worth, again and again. The past few days have brought me a profound experience. I think I’m honest to myself if I say that music performance for me is mostly work, hard work. I know well that my audiences generally don’t see it, and they shouldn’t see it. 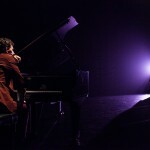 For the listener, instrumental music performance is perhaps a time to think in non-linear ways, to connect with themselves or lose themselves, to allow their emotions gain the upper hand for a limited time, to remember the forgotten – or simply watch the performance. Whereas for me, it’s work – and even more so, when I practice. Lately I have many anxieties on my heart. Reasoning cannot kill them. But I’m working with Schubert’s G major Sonata at the moment. And as I spend my hours in it, the thick heaviness in my chest… well, yes, it starts to melt away. My deep sadness somehow begins to evaporate towards the ceiling. I say, relatively, because the problems don’t just disappear with the last chords. But it’s as if I am finally a performer and a listener too. Maybe I’m raving here and I have always had this… I don’t know. What I know now is that music works powerfully in me, the muso, not just in ‘them’, the listeners. I got my hands on the beautiful film that was made from the material filmed during my LOVE recital last August. Here is Bach-Busoni Chaconne from that concert. It was one of the last pieces and one of my better performances of it. 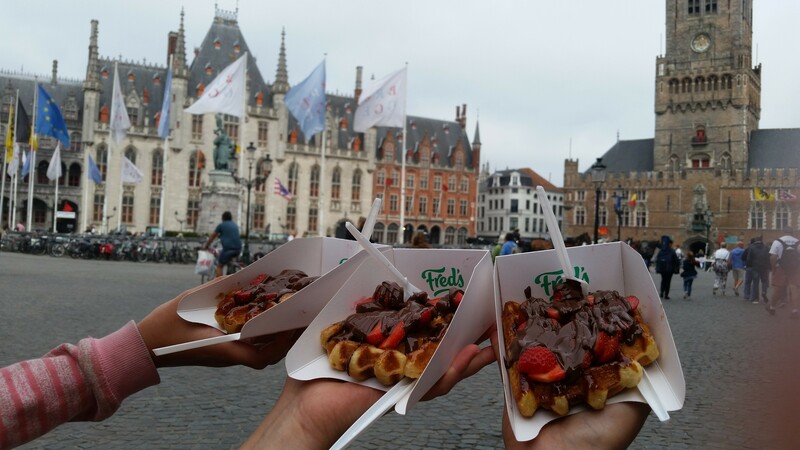 Enjoy, this is solely for you! Last week, my Latvian performances in 2013 were remembered in a very special way – I was awarded the Great Music Award for Outstanding Performances. The personal joy for me is in the fact that those concerts that I felt were my best on-stage experiences are exactly those same that were mentioned for the nomination. But the time is ticking on. The award may work as a boost or may not, but now it is my turn again to continue my development as a musician and a person, to provide you with more and more meaningful experiences, as we share in our fragile and beautiful humaneness. A heartfelt THANK YOU to everyone who supports me – with presence, with words, with practical help, with prayers. As I prepare to go to Latvia tomorrow, to mark my nomination for the Great Music Award at the National Opera House, I feel quietly joyful. Joyful, because the three Latvian performances that meant most to me last year, are the very three that have been mentioned as the reason for my nomination: LOVE recital, Latvian recital at GORS, and Lutoslawski concerto. Read my respective posts below to see that those concerts really meant a lot to me. But Quietly, because it is long since past. The ovations and flowers have died, memories of feeling have faded. No-one can truly recall those events. The ceremonies around them have the scent of unreal. I am hoping soon to embed the relevant sharing buttons on this page for FB, Twitter and the likes. Nonetheless, I will keep the present page updated – always look here for the latest version of my biography, the calendar, reviews and this blog which will contain stuff different from what I post on FB. 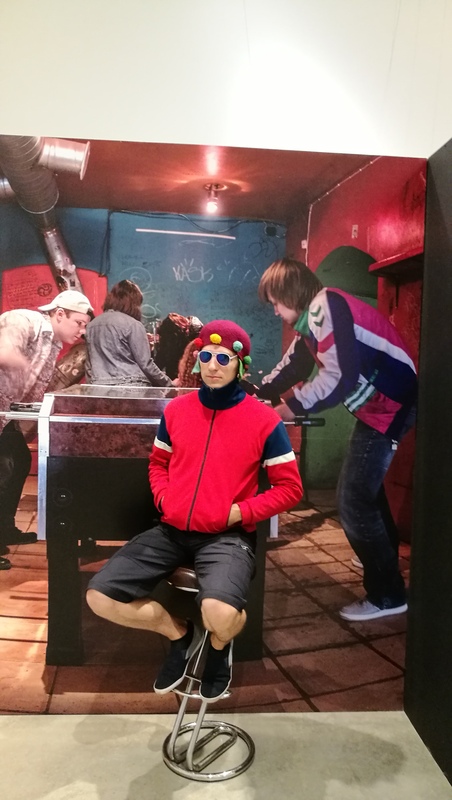 Less than two weeks ago I went to Riga to witness and participate in the opening events that marked Riga’s becoming the cultural capital of Europe 2014. A grand piano was brought into the main bus terminal in the heart of the city; upper floor cafe was rearranged to fit in some hundred+ seats, security guards were placed on the staircase to control the flow of people; from behind the bar, a well-known presenter introduced the ever-changing audience with catchy facts about the bus terminal — and then Bach was played. From noon till 6pm, by a dozen of pianists, young and old, with creaky trams passing by below the windows, sun travelling down into the night and … the most exquisite audience! The room was packed all the time, with many simply standing by the staircase. The most colourful crowd, many of them not concert goers. And what a silence enveloped our performances! Desire, was it not? for those meaningful sounds to be heard, taken in, felt through and through. And people did cry! Bach died in 1750. Isn’t that something? A whole new year that has never been lived before! What an incredible excitement! Another string of first-time experiences to look forward to, with fearful and joyful expectations. Wow. So good to be alive in this messy beautiful world! My year has started with a first-timer: my first collaboration with dancers. I am stunned. On one hand, it is a familiar sight to see performing artists practice their parts and feedback one another to help shape it into something great. On the other hand, it is so different, so gutsy, so intimate when experienced up close. 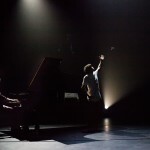 To see the human body express the whole gamut of emotions… well, I feel so terribly passive and stiff sitting at my piano! But of course different arts use different territories. There’s so much a dance movement can express. But there’s just as much a musical phrase can say. And when the two complement one another something even richer is born out. I hope we will enrich one another’s space. And the listener will enrich, too, if he and she will take their heart along and come open. 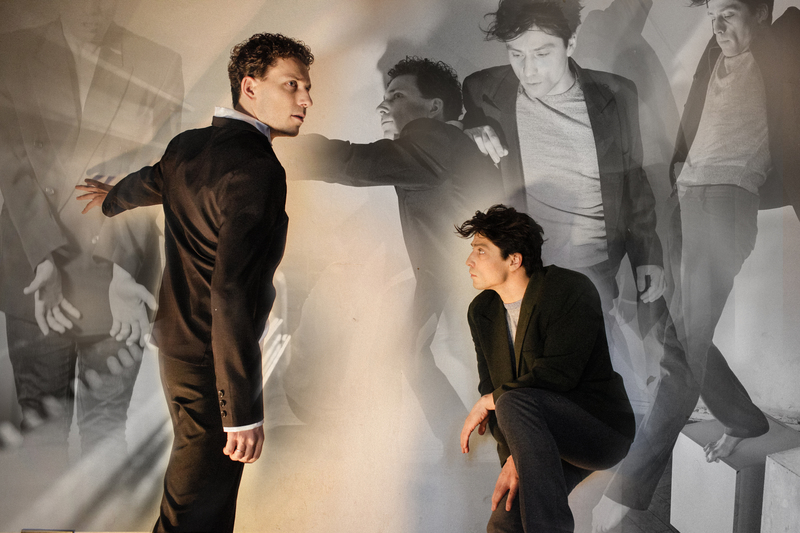 This is contemporary dance festival RESOLUTION throughout Jan and Feb, with a triple bill 8pm on 31 Jan at The Place (by Kings Cross, London, WC1H 9PY). Tickets go fast. I have just returned from the city of Rezekne, the heart of the eastern region of Latvia. 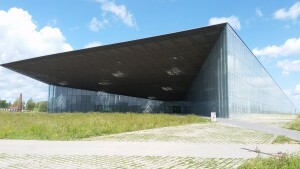 There is a brand new purpose-built concert hall GORS and I had the privilege to play the first ever piano recital there. 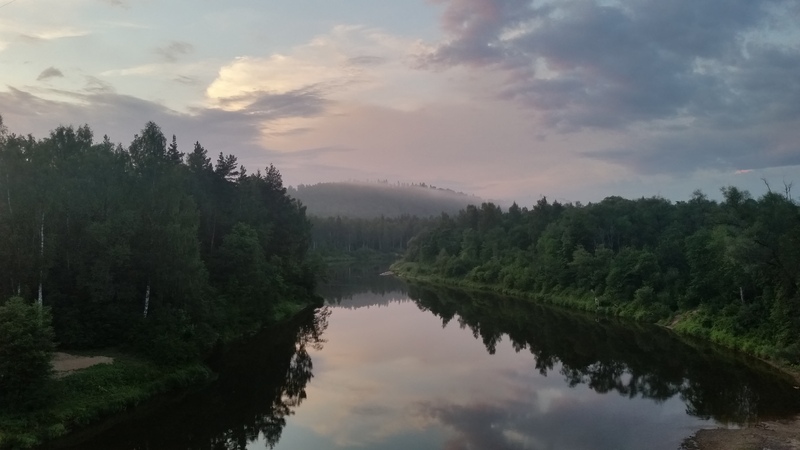 But what I really wanted to share is how special the people of Rezekne are. Very hospitable, honest, hard-working, quiet people, but by all means enjoying their life. Wherein lies their contentment? I will have to ask them next time I visit. And visit I will, for not everywhere do people shed tears while listening to piano music. But in Rezekne they did and without shame. These dear hearts are not hardened and may they always remain that way. Yes, and by the way, there is no other instrument in Latvia quite like the one I played last night, or at least, I haven’t had my hands on anything comparable. And that means much to me. All in all, unforgettable! Slowly but fruitfully: it seems that this place is about to work properly again, after healing some persistent ‘injuries’. Million thanks go to my dear friend Ernests who is an absolute expert in the field. Please type in my website address manually! Many people have told me that this page cannot be accessed through a search engine – and in fact, I cannot access it either, except from Google. While I deal with this problem, please bear with me and just type the address in. Thanks! Last night my summer season came to an unforgettable end: I was privileged to perform in St.Peter’s church in Riga a recital themed LOVE. Now what more a musician, a human can long for? To spend days thinking about this great mystery that makes our universe tick! And then in reverent awe sit for 90 minutes in wonder of that mystery. Full hall. In perfect unity. What is it that makes us all breathe and hear and feel on the same wavelength? What is it that frees us from shame of sitting in quiet oneness together for long long time? Is it what the music embodies? Is it the source of all music and of ourselves? I am a happy man to have witnessed it last night. Thank you, you who were there with me. Maybe I and you, we are a bit more human now. On 26 July, Latvian classicist Jāzeps Vītols used to celebrate his birthday. In four days, we will, too, to mark his 150th anniversary. Latvian National Song Festival this year filled many hearts with renewed fervor for our national identity. 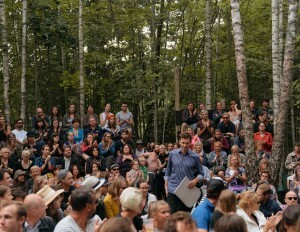 Mine was also touched deeply, seeing tens of thousands of Latvians united by means of music. I am therefore very happy to be able to join and continue this feeling by playing Vītols music LIVE on our Classical radio on his birthday. Please join me on 26 July at 3pm (GMT +2) here: http://klasika.latvijasradio.lv/lv/lr3/ and push the ‘play’ button on the right. Don’t worry, music will be in your language, even if words won’t. As we start rehearsals on Lutoslawski’s Piano Concerto, my thoughts turn to purpose, purpose and purpose — this is what interests me most about composers whose music I am privileged to study. In other words, the ‘why’. Here, he doesn’t speak for some ‘others’, rather, he shares his own view of what is the meaning of art for humans. He basically says that art, including music, cures loneliness. And since the latter is, for him, humanity’s great problem, music should be — must be made and done to help. I must agree that music does bring people together. Just last night, I could witness some 30 000 people coming together to listen to and make music in Latvian National Song Festival. I felt a rare closeness with this crowd as we were singing together. I hope many will also come to Cesis Arts Festival on 12 July to hear the Symphonic Gala where I will play Lutoslawski’s Piano Concerto. I hope we will be all on the same wave, as they say. But can this or any music really heal our very real loneliness? Forget for a while, yes; make new friends, perhaps. But then I would have to go to concerts every day. And I have felt very lonely while listening to some music or watching an art work. Then will my iPod take away loneliness? Pascal wrote, “There is a God-shaped vacuum in the heart of every man”. And Augustine said, “Our hearts are restless till they rest in Thee”. Rarely do I get to perform for a crowd of 750 Christian leaders, philosophers, scientists, European policy-makers and other unique people! Such was my privilege in the European Leadership Forum this week. Even more so, discussing the big questions of today with these people clarified some deeply distressing issues for me – at least, for now. The sinking-in will necessarily follow with the help of a ton of books I bought to fill my already heavy suitcase. The main outcome from this Forum right now is that I am encouraged to continue and to purposefully develop what I am already doing. I hope this will bring a great harvest for the blessing of all of you who read this. Check this out! This short video was shot in the studio after we had finished recording the CIRCUS&MAGIC album. My producer and engineer both lent their iPhones for the purpose. I particularly liked when we did the up-close takes and the over-head ones with the microphone stand expanded to its utmost. You might notice how those shots slightly vibrate because of, I suppose, me playing rather strongly and creating a local floorquake. Anyhow, it was so much joy – to end a three-day session with this running around with iPhones, playing Petrushka 6 more times, eating some Pringles in the studio (psst, don’t tell the owners), shaking hands – and then suddenly dispersing each to his next project, as if all of this was just some fleeting dream. 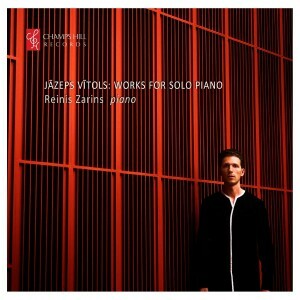 Today is the release date of my latest album: it is Piano works by Jāzeps Vītols (Champs Hill Records). I am very happy to be able to touch and see this final product because the way to it was rather long and complicated. But I’m happy now. I think the best part of the way was the chance to read through the entire solo piano output of Vītols. It gave me a wide-angle landscape and helped to see various contexts within which Vītols was operating in his day. It also helped to read some articles about him and of course his autobiography. But I must say that the music revealed the same – and more! than the words. Yes, I guess the bit I loved most was the freedom to choose whatever I like. I could take his most famous works, or the long opuses only, or the short ones, or even only the obscure ones. Admittedly, I chose a combination of all of these. I feel a richer man now, that I know this music. I hope you get to hear it, too. Exatly one week ago I came up with a grand idea to memorize a Bartok concerto in four days. The reason being the Easter weekend’s approach – and Easter is not the time to do the usual everyday work, I should say. So four workdays only. In fact, I happily finished the memorization by Tuesday evening and spent the other two days confirming and repairing what my brain had taken in. But then I went home and fell down with a high fever and strong shivers, and even today am half-alive. What’s the lesson? God, what an irrational being I am! That’s true! I don’t know when was the last time something like this was allowed to take place in the truly historic Holywell Music Room in Oxford, but this time it really is being warmly welcomed! What I am talking about is the recital of purely and exclusively Latvian piano music that will happen there on 1 March 19h30. I am very grateful to James Soper, the president of Oxford Latvian Society, who came up with such an idea! Since it’s my passion to introduce my audiences to brilliant new music, this is just the right thing for my sweet tooth, all the more so by being a chance to investigate what good my compatriots have created over the past century or so. And it’s for free, if you want to know. Tickets are free, or, rather, there won’t be any tickets! Hurrah! Long live free entry! 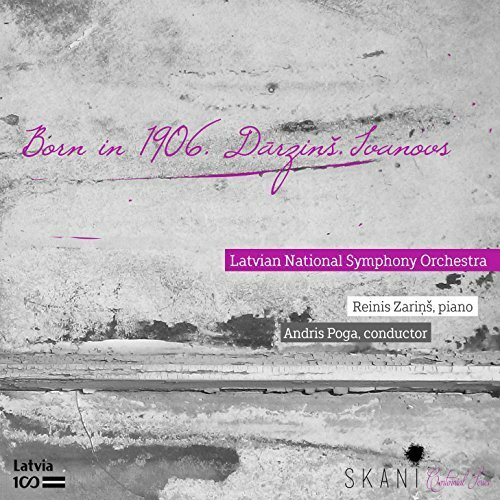 Jazeps Vitols’ Variations on a Latvian folk-song – a monumental work; his Sonatina – excellent, concise writing with Straussian and Rachmaninovian overtones; his famous Song of the Waves coupled with another sea piece. Then an incomparable piece by G.Pelecis dealing with the joy of traditional winter-solstice feast. Then two miniatures by P.Vasks and I.Zemzaris. And last but by no means least, Kenins’ portrait of Schumann, and of himself, and of humanity in general, may I say? Here’s the place on googlemaps. See you there! NEW ALBUM CIRCUS & MAGIC OUT NOW! That’s right! Now that I have finally seen and listened to it myself, I can write about it without trembling. The recording process was something to remember. 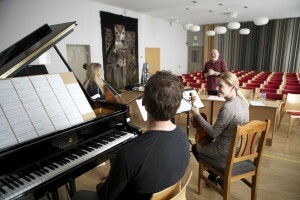 First, the location – Champs Hill Music room in West Sussex – is a marvel. It is enveloped by gardens and woods and wonderful sculptures, and there is collection of paintings, from different periods, exhibited in the Music room itself. Plus, there are all sorts of birds singing their praises (and some crows grumbling on rainier days) outside the hall, inspiring one’s music-making, though skilfully escaping microphones’ notice. The airplanes crossing over were not that welcome interruptions, however, since their engines’ low frequencies would be clearly noticeable on the tape. Location and instrument (this time, a Steinway D with a big heart) is nothing without the crew. My producer Matthew Dilley and engineer Richard Bland turned out to be the A-team. Their refined methods of working, their unobtrusive manner and their obvious willingness to serve – the composer and the interpreter alike – are something of a rarity these days. We had three full days booked for this recording and good we had them, because things tend to happen, and they did with us: on the second day, immediately after our lunch, when our tuner had left for the day, just as I began to warm up for Stravinsky’s Petrushka, Matt (the producer) mentioned in a calm ‘by-the-way’ voice that my middle G is rather out of tune. It soon started to look like an emergency situation, since our tuner had his mobile switched off and anyway had gone down to work in Brighton that evening, besides no-one in London could be sent down to us, and neither could we tune that bloody G ourselves! Since this was my first studio recording, I had carefully planned what I would record on which day, so that I could manage all in a calm pace and still would have time left to rework things if needed. Now this plan was for rats. Nerve-wracking it was. But we prayed, and I spent the rest of the day reading a book in the beautiful garden and walking through the fields. Of course, the third day was a tough one, with all Prokofiev, Ligeti, one Debussy and Stravinsky to fit in, plus to make a short video (it will be posted soon). We finished 20 minutes before my train to London. Remembering all of it now brings only a smile to me. I must admit that I like what came out of it all. I hope you do too. Please, write to me any comments this album makes you have! First time is first time. I have just added a dozen of new recordings in the AUDIO section. Please take some time to check them out! There’s not only solo stuff but concerti and chamber music as well! Today I was working with the manuscript of E. Bloch’s Four Circus pieces. Bloch wanted for this opus to remain as his personal home music-making thing, playing while shouting funny comments at the same time. Luckily and finally, Bloch’s publisher kindly allowed me to have the unpublished material for proofreading, performances and a subsequent edition. 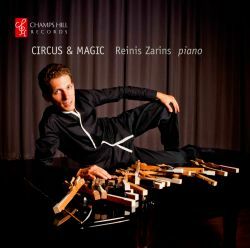 So far I have performed them funny pieces a couple of times and also recorded them in Circus & Magic (check out: http://www.mdt.co.uk/zarins-reinis-circus-and-magic-champs-hill-records.html and soon on Amazon and such), but what bothers me is the manuscript. I received it only after recording the opus. And now – alas! – I see that one can read it in other ways as well. It’s not all black and white, abc. What a dilemma it must be to prepare proofs – for that means deciding on a single truth. Whereas now I see that one can play these pieces every time differently – and still according to the manuscript! If you wish to hear a version of these comic pieces live, I’ll be promptly delivering them on 21 November 7:30pm in Wigmore Hall (London). For Wigmore, at least, it will be the first hearing ever. Once in a while I get my hands on a fiction and even make the time to open it and read it. Recently I totally absorbed myself in another masterpiece carefully crafted by Ian McEwan. His Atonement became a great movie a few years ago, though the book is definitely greater. Anyhow, this time I read his Solar. And what a penetrating eye McEwan has! Though his hero (actually a total antihero) is shown as obnoxious as person can be (it seemed to me), the author goes on to reveal more and more of his hero’s inner thoughts – and catches me! What a funny feeling it is when I recognize myself in those thought patterns, in those mental actions that no-one should know about. Although it is the “hero” that we are supposed to feel disgusted about, it also seems that the reader is supposed to become more and more disgusted with himself – that is, if he does recognize himself in that ugly hero. Clearly, it’s not a new trick for writers, maybe only the surgical openness of thought processes is linked with our freedom of speech age. I believe there is a way – a difficult way – out of my inborn inconsistency. And maybe there are several ways. But let us not get stuck at our more sour self-revelations and rather use them to step up! 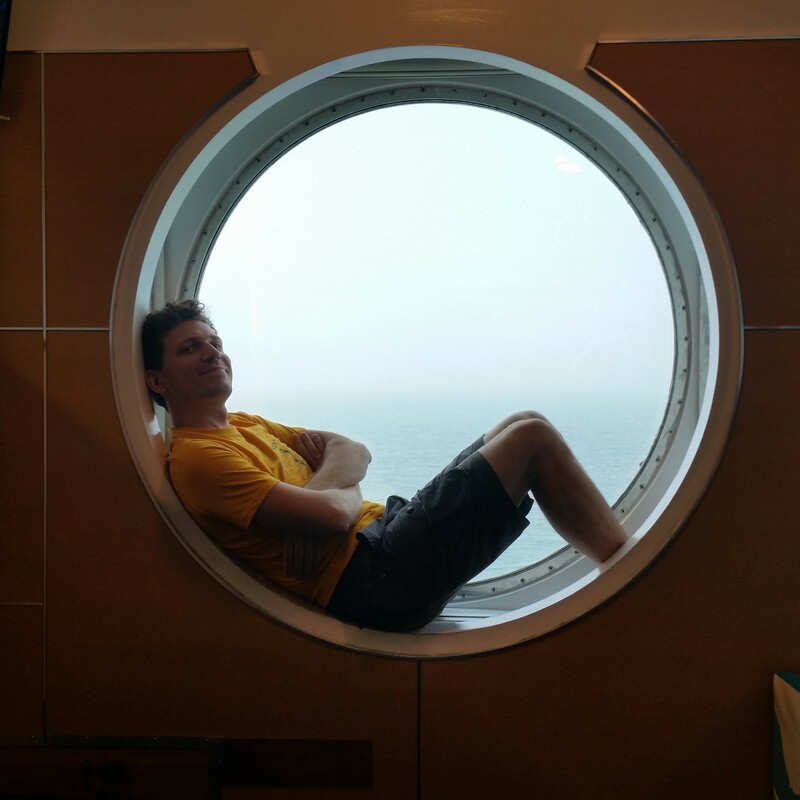 I have been absent from here due to a variety of reasons, but I am glad to be back and share a bit of what’s going on with the musical part of my life. I am about to record a disc that is going to be a ‘total immersion’ – and indeed I am being totally immersed as never before! It’s all about Jazeps Vitols. He was born almost 150 years ago in Latvia, and his cultural and artistic activities at the time were such, that he now can safely be called the most important musician of the first half of 20th c. in Latvian classical music. He played a great role in helping the Latvian National Song festival become a treasured tradition among Latvians. More importantly, he became the first rector of the Latvian Music Conservatoire, the first and only national institution of the kind, even to this day. He also taught composition throughout his life, influencing hundreds of future composers, including Myaskovsky and Prokofiev. I have had the privilege to read through all of his pieces for piano solo, and I am so jolly happy to do this! The best part is that I can choose what I think are his best works, but also keep some on the hedge, to see how it all fill fit into a coherent program. To me, his gems are tiny miniatures – folk song arrangements or just preludes and such. He is an absolute master in depicting certain mood with just a few notes. He uses very simple, but well-tried compositional methods, and I love that! I think this music is totally worth the effort, and I hope to bring it to a concert hall somewhere pretty soon. Keep an eye on the Calendar section! Yesterday I had the privilege to perform in a small church in Kuldiga, Latvia. There, an 18-months old was sitting on the lap of her father for the very first time in a classical music concert. 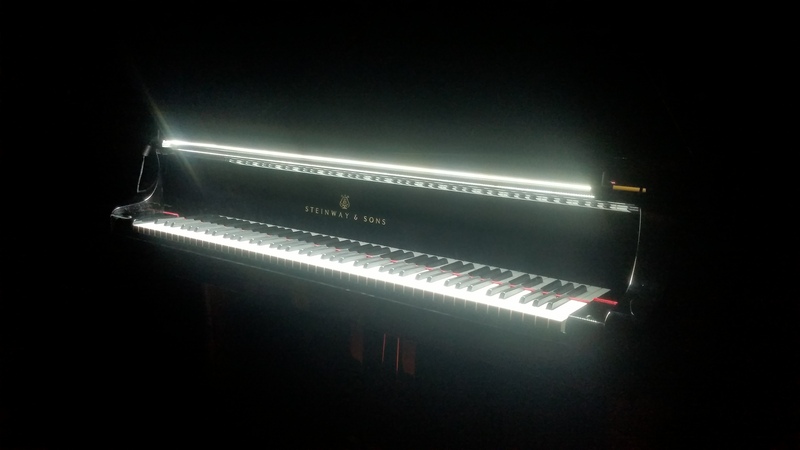 She gave sound replicas whenever I had a pause – and sat quiet whenever I played. Apart from drawing out my smile, she also made me wonder how sensitive and understanding children – infants! – can be, if we let them. The usual concert-hall audience would of course not tolerate such an outrageous behaviour. But which is more important? 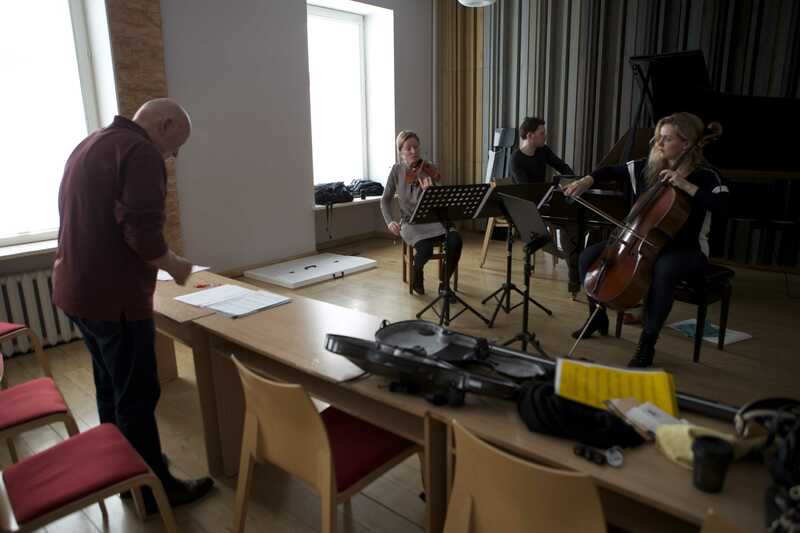 Hectic last days of prep for Kremerata Baltica Festival in Sigulda and Riga. The conductor Johanna Malvic has been caught ill, so our own Andris Poga has agreed to step in! On Sunday and Monday, he will be conducting works by M.Weinberg and A.Schnittke. Today, we rehearsed these works for the first time, and Andris, having received the scores only last night, displayed brilliant command and understanding of the music. My part is to play Weinberg’s Children Notebooks on Saturday and Schnittke’s Concerto for piano and strings on Monday. Weinberg is a revelation to me. 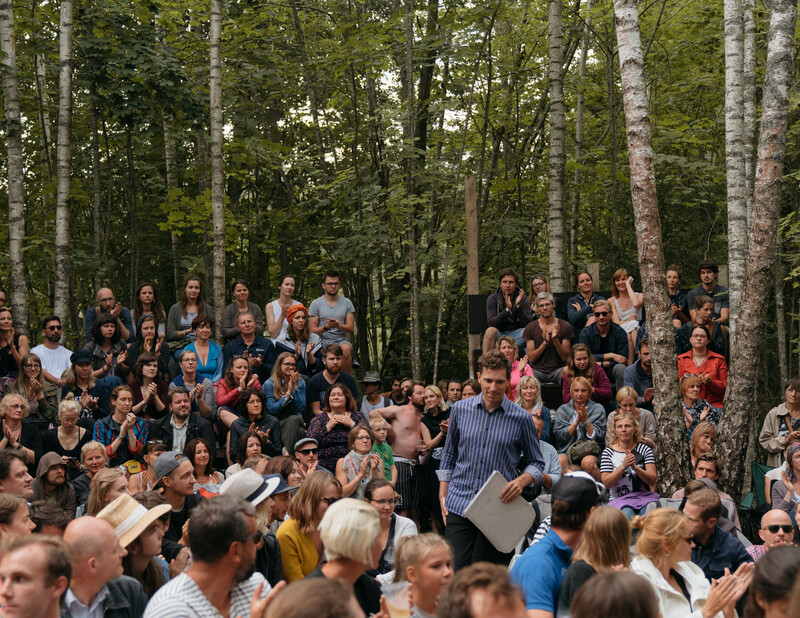 First of all, it’s Gidon Kremer’s idea to present Weinberg’s music in this festival. Weinberg’s oeuvre has been obscured by his senior contemporary Shostakovich, but wrongly so, because with proper study, one sees how incredibly interesting and engaging Weinberg’s scores are. Anyhow, after a desperate search of any single Weinberg score in London, I found his publisher peerMusic in the States and now am the proud owner of his Children’s Notebooks (which cost me a fortune). I love the first of them the most, and will perform it in Sigulda’s wonderful concert hall Baltais Flīģelis on Saturday 7pm. G.Kremer will be performing there and then as well, together with Daniil Trifonov. Schnittke’s Concerto took my heart instantly when I heard it for the first time a few years ago. It’s a poignant, explosive work which speaks to all peoples. I am awed by Schnittke’s skill to use “familiar” materials to achieve such emotional energy – cathedral bells, orthodox chants, a priest’s vocalization of the liturgy juxtaposed by jazz, waltzes and Czerni exercises. With Schnittke and with him only, this sounds not only convincing, it’s totally absorbing experience! On 12 May 3:25pm (GMT), I will perform in the Semi-Finals for Dublin International Piano Competition. If you would like to listen in, please follow the link below for a live streaming out of the National Concert Hall in Dublin. I will perform B. O’Byrne’s Rhapsody on an Irish folksong and Beethoven’s Hammerklavier Sonata. I am off to Dublin. The past month has been totally given to the preparation of four rounds of repertoire for Dublin International Piano Competition. This one differs from most contests in that it gives 90% freedom to the contestants regarding the repertoire. One can avoid the usual competition playing here. I like it. I never liked the traditional stuff – 3 etudes, Bach prelude+fugue, etc. I wish that I would desire this imperishable wreath more than those that men give each other. Celebration! Hurray! Last night, I was awarded the Great Music Award of Latvia, the highest national recognition in the classical music field! It was for Outstanding Interpretation on three occasions in 2011 – a solo recital, a concerto (with Sinfonietta Riga and Ariel Zuckermann) and a violin-piano duo-recital “A Frenchman in America”. I am so thankful to my fans, teachers, the warm Latvian audiences, and, of course, the distinguished jury, for voting for me. I am grateful to my dear family for serving me so much. Above and beyond all these, my thanks are to the Lord Jesus who is the source of all that I am and have. His ways are so wonderful. Another wonder was the fact that Paula Sumane, the violinist I played “A Frenchman in America” with, also got that Award, as the Debut of the year, for that same concert! Amazing! Do check out her videos on YouTube, especially thewww.youtube.com/watch?v=f_Hy70DH4dU which I incidentally had the privilege of filming with my soap-box on the edge of a cliff. The Great Music Award (LMB) is the supreme Latvian state award in music. In 1993, on the initiative of the then Minister of Culture, Raimonds Pauls, the Ministry of Culture of the Republic of Latvia decided to mark each year’s major achievements in the concert life of our country with a special award. This gave start to a tradition which has developed into an event which is fervently looked forward both by the musicians themselves and the audiences. This was clearly seen in the full Great Guild Hall in the first years of the award (1993…1995). Since 1996, the award ceremony takes place at the Latvian National Opera. The ceremony is broadcast on the radio and on television. The high prestige of the Great Music Award both in wider community and in musical circles is ensured by the work of a respectable jury. All through the year, the members of the jury attend concerts and hold monthly meetings, taking minutes each time. In 2007, it was decided to announce the nominees at a special Ministry of Culture press conference in early January while the actual holders of the prize are to be made known during the award ceremony. This means that the voting on the nominees takes place in January whereas the voting on the prize holders takes place on the very day of the award ceremony. An artistically valuable and essential part of the Great Music Award is the trophy itself, a silver statuette made by artist Armands Jēkabsons. The laconic-shaped, exquisite silver figurine easily and beautifully joins stage design or becomes a graphical symbol. The Great Music Award ceremony is organised by the Ministry of Culture of the Republic of Latvia and Latvijas Koncerti ( www.muzikasbalva.lv). The Great Music Award (LMB) is the supreme Latvian state award in music.In 1993, on the initiative of the then Minister of Culture, Raimonds Pauls, the Ministry of Culture of the Republic of Latvia decided to mark each year’s major achievements in the concert life of our country with a special award. This gave start to a tradition which has developed into an event which is fervently looked forward both by the musicians themselves and the audiences. This was clearly seen in the full Great Guild Hall in the first years of the award (1993…1995). Since 1996, the award ceremony takes place at the Latvian National Opera. The ceremony is broadcast on the radio and on television.The high prestige of the Great Music Award both in wider community and in musical circles is ensured by the work of a respectable jury. All through the year, the members of the jury attend concerts and hold monthly meetings, taking minutes each time. In 2007, it was decided to announce the nominees at a special Ministry of Culture press conference in early January while the actual holders of the prize are to be made known during the award ceremony. This means that the voting on the nominees takes place in January whereas the voting on the prize holders takes place on the very day of the award ceremony.An artistically valuable and essential part of the Great Music Award is the trophy itself, a silver statuette made by artist Armands Jēkabsons. 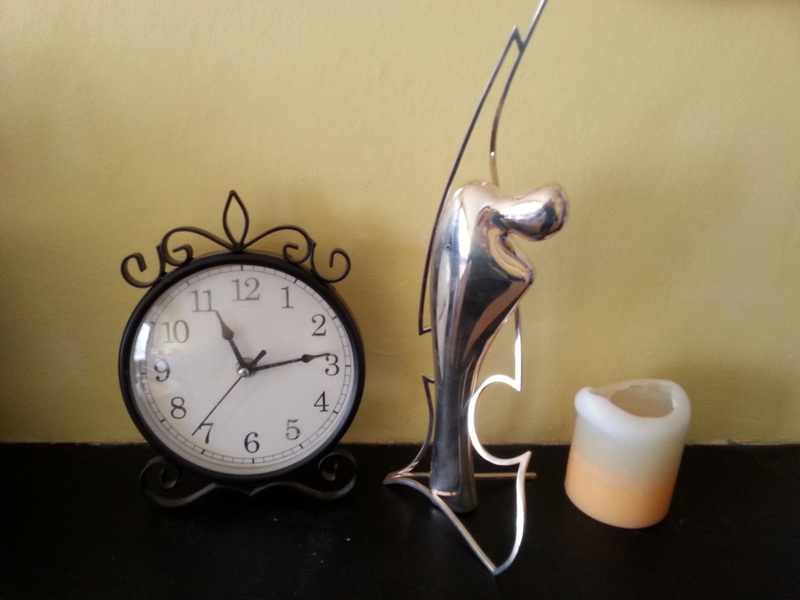 The laconic-shaped, exquisite silver figurine easily and beautifully joins stage design or becomes a graphical symbol.The Great Music Award ceremony is organised by the Ministry of Culture of the Republic of Latvia and Latvijas Koncerti ( www.muzikasbalva.lv). A discovery of grand proportions for me: Ein Deutsches Requiem by Brahms played in a four-hand piano version! This is such a Music. It’s difficult to find appropriate words to describe the emotions that overwhelm me when I play it… Anyway, I will get to play this wonder with some world-class musicians, like Egils Silins, Inga Kalna, Diana Ketler, in Ventspils and Riga on 23 and 24 Feb. Check the CALENDAR for more details and see you there! After a much-needed rest, I am joyfully preparing my next projects. On the 26th of January, a one-of-a-kind cellist Matthew Barley (www.matthewbarley.com) and I will perform a recital in the smaller hall of Amsterdam Concertgebouw, as a part of the concert-series Tracks. We will play standard repertoire alongside some rare gems, like Tsintsadze’s pieces on folk tunes. Another project that I will be rehearsing in the first week of this new year, is a 2+2 project – it’s a shorthand for my main Hodgson Fellowship project, a concert for two pianos and percussion music on the Valentine’s day! Although the music created for this instrumentation is superb, practical complexities are also unavoidable, i.e., getting all those percussion instruments in one room plus two pianos, and have them there for, say, 3-4 days, to get the program ready. Such challenges often put musicians off from doing this stuff – but it’s truly superb! And what is more, a young, talented British composer Joseph Davies is writing another addition to “2+2″ repertoire this very moment! So definitely come on Valentine’s day to Royal Academy, Duke’s Hall, for a powerhouse concert. I have been very much looking forward to this! A mixture of seemingly unrelated works by two Frenchmen and two Americans, this program was born one night a year ago and now it has acquired beautiful colours and meaning. Paula Šūmane is a rare violinist whom I had the privilege of playing with in Cape Town last year, and our common faith strengthens our music-making immensely. We will play Ravel’s Sonata and Messiaen’s Theme et Variations, then take a deep breath, and then resume with Corigliano’s exuberant Sonata. Wish for even more? Well then, Fantasy on Gershwin’s Porgy and Bess ought to be an appropriate dessert! Today I had the privilege to perform in a public masterclass for Dame Fanny Waterman. Well, I must say, she is a Dame! Her acute ears revealed to me many new ways I can take. It is quite impossible to resist her charming authoritativeness, especially knowing her age. Thank you, Dame Fanny, and good health to you, to gift many more, as you gifted me today. 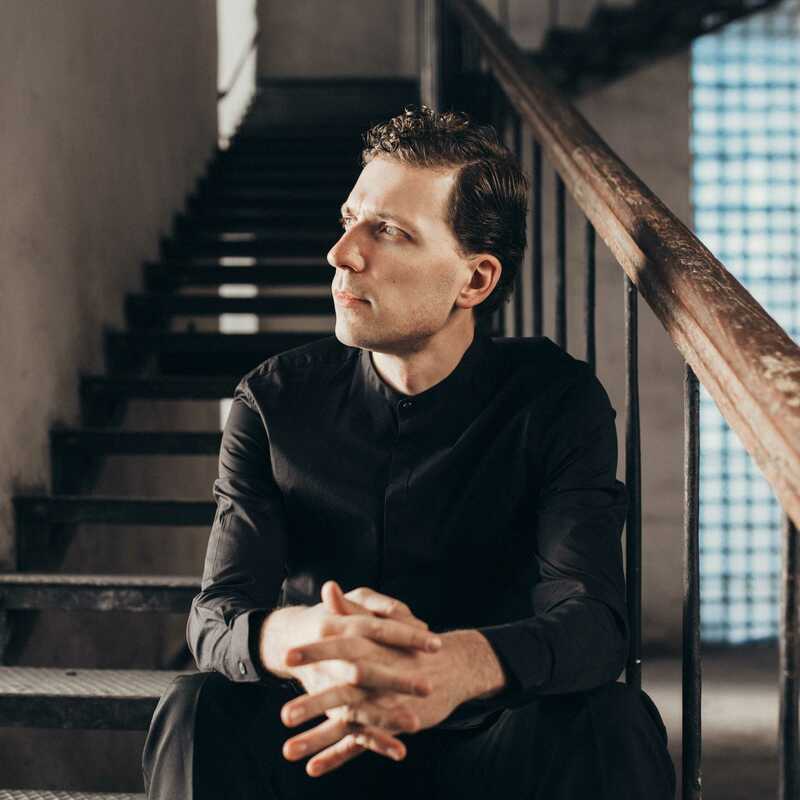 Reinis IS performing alongside Lucerne Festival Orchestra and Ensemble Intercontemporain, with the legendary Pierre Boulez and Peter Eotvos as conductors. On Friday night, 2 September, in the Concert Hall of KKL Luzern (Swiss), we will perform Boulez’s Eclat/Multiples after two weeks of stressful rehearsals. Now it is in a great, if a bit uptight, shape, ready to be played under the composer’s exacting hands. On 8 September, in the same Concert Hall (KKL), we will perform Boulez’s Pli Selon Pli: A Portrait of Mallarme. This is arguably the magnum opus of Boulez, absolutely deserving all the energy we have put into its preparation. Yesterday and today, the fearless soprano Barbara Hannigan (http://www.barbarahannigan.com/) joined us in the rehearsals, captivating us with her magical voice. In the meanwhile, I have enjoyed meeting S.Rattle, P.Eotvos and D.Barenboim, who all have come to see our rehearsals and masterclasses. 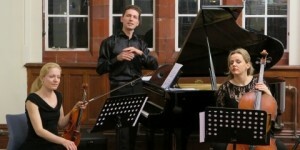 10:00 – 13:00 I will perform in an open masterclass alongside other pianists in the Royal Academy of Music, Duke’s Hall. The class will be led by the new Head of Keyboard Department JOANNA MACGREGOR. I will play Liszt’s Mephisto Waltz and “Cypresses of Villa d’Este I”. This event is part of the Keyboard Open Day at the Academy. Reinis Zariņš is a Hodgson Fellow at the Royal Academy of Music in 2011/12. In this capacity, he will perform, lecture and teach in the Academy. Please, do visit the ‘Calendar’ section often to see what’s coming up.